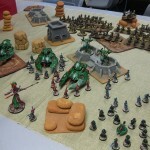 ANUCON2011 was run last weekend and it was a blast! 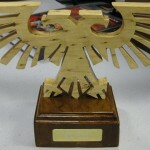 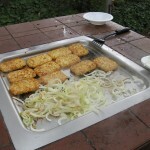 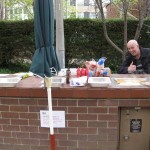 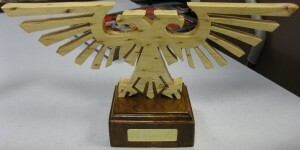 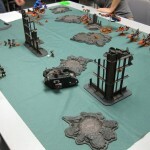 26 people all had a blast, and here are my promised photos from the tournament! 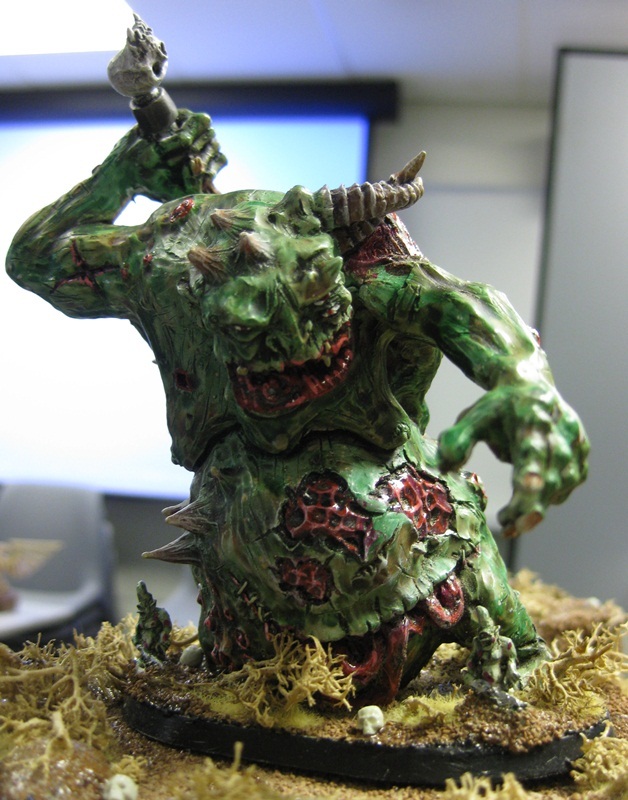 Sorry I didn’t post it up yesterday like I originally promised, but I was pretty dead from a weekend full of gaming. 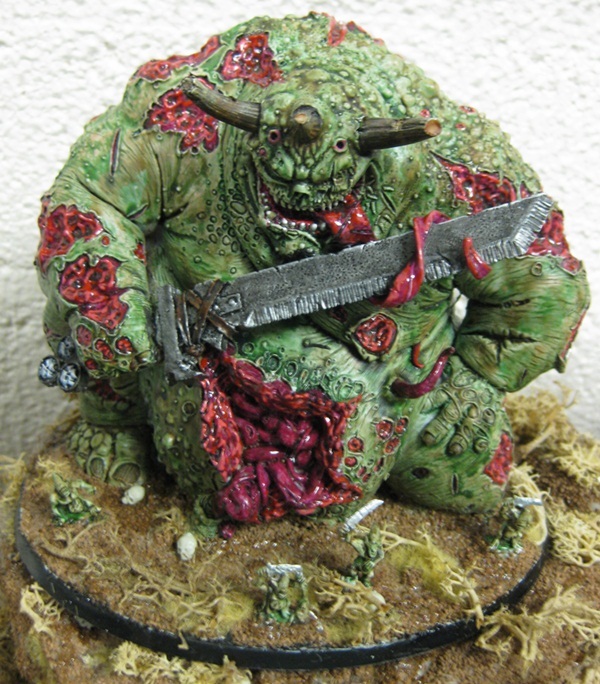 Since there’s quite a few, I’ve just dumped them into a gallery post, instead of having a series of images and comments. 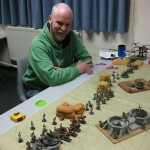 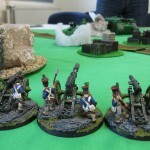 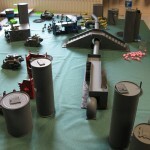 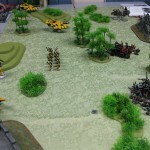 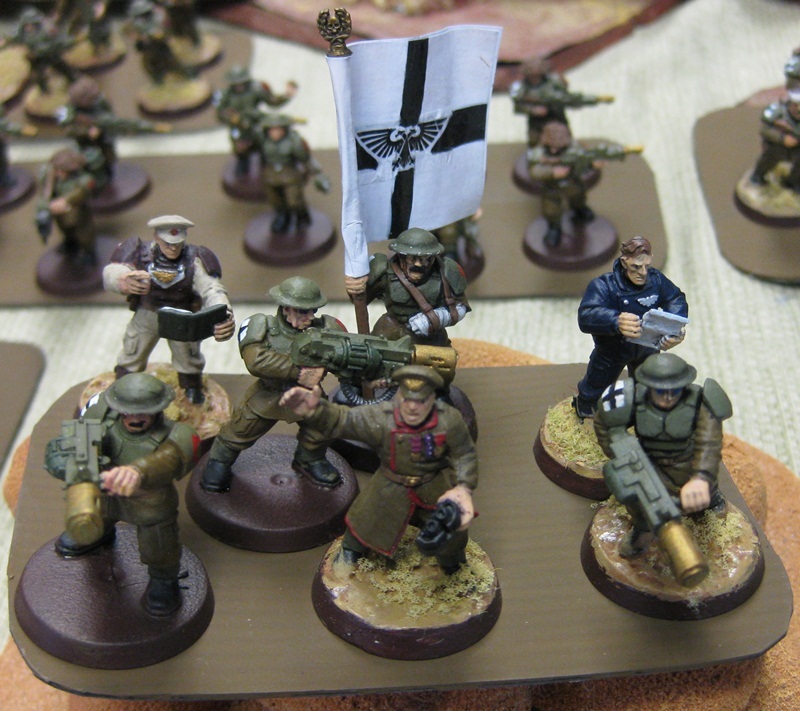 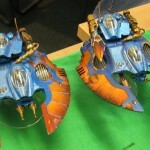 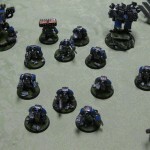 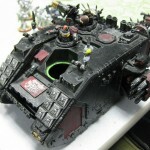 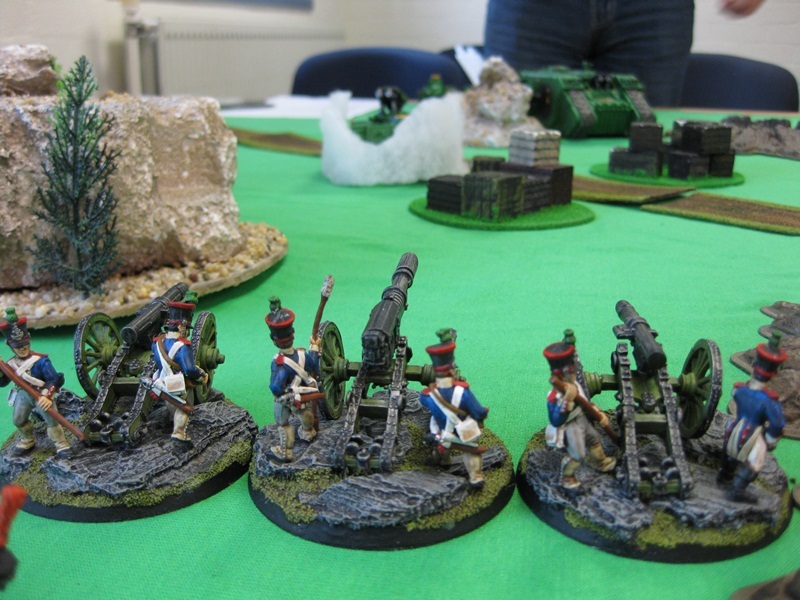 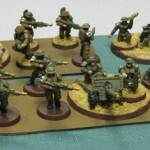 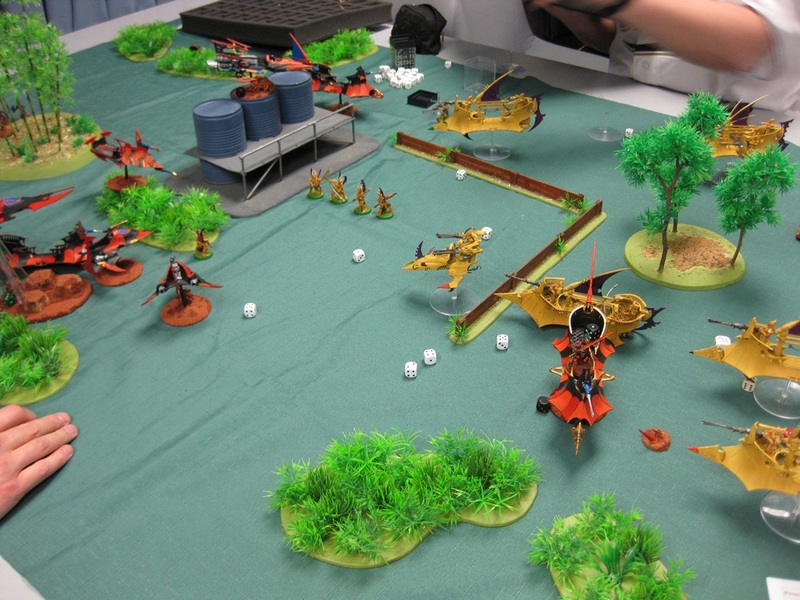 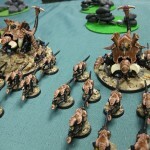 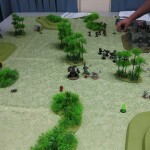 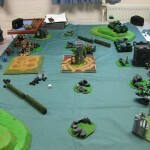 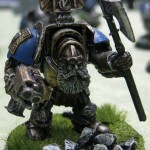 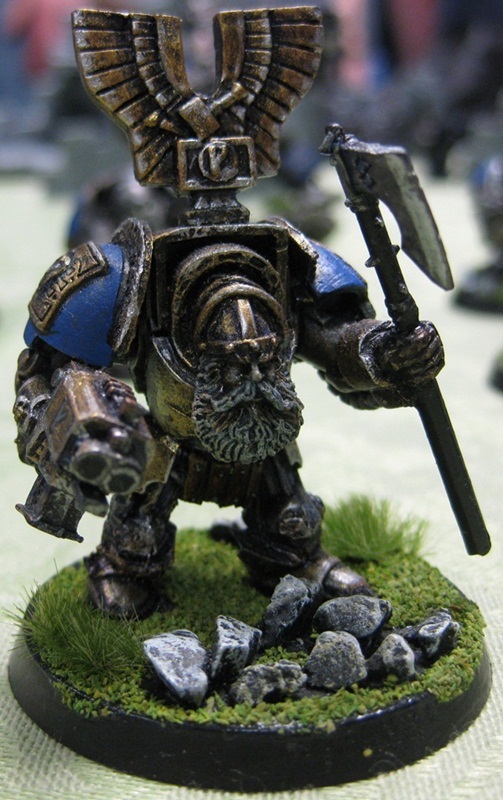 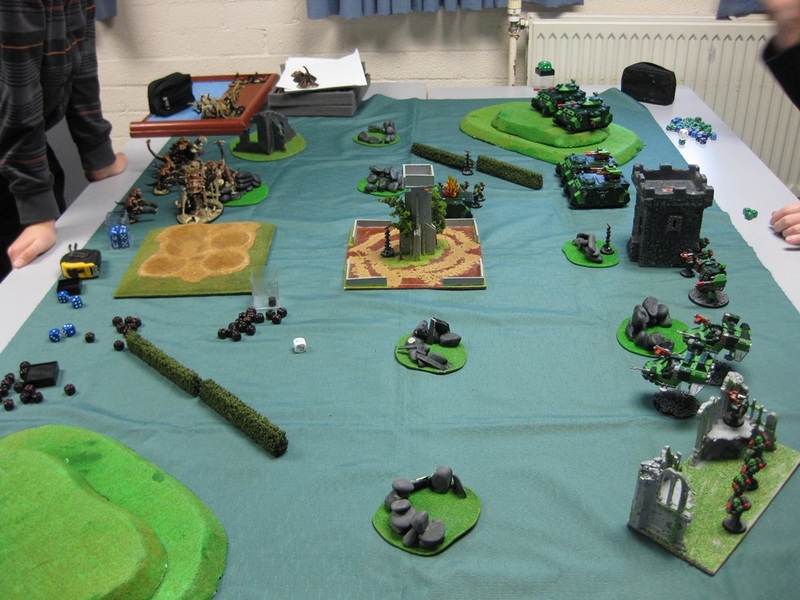 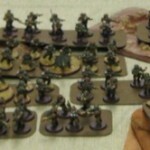 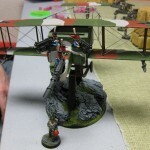 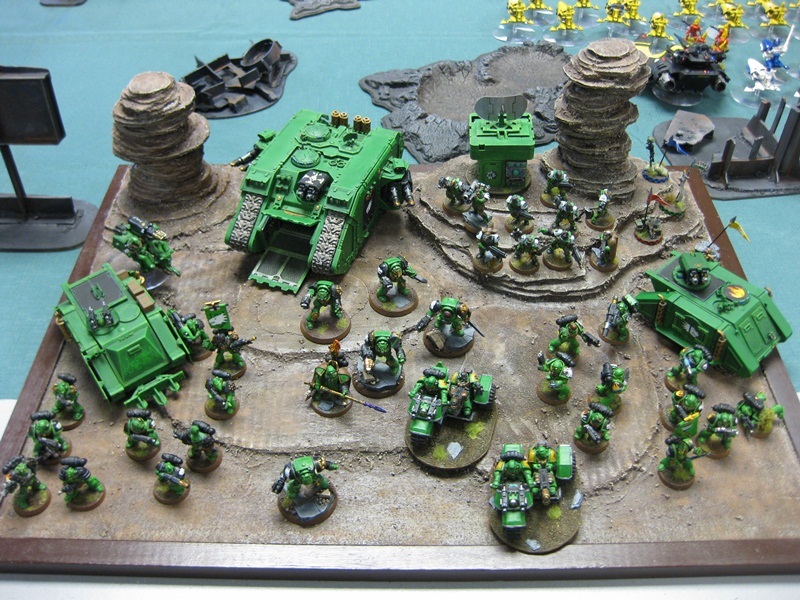 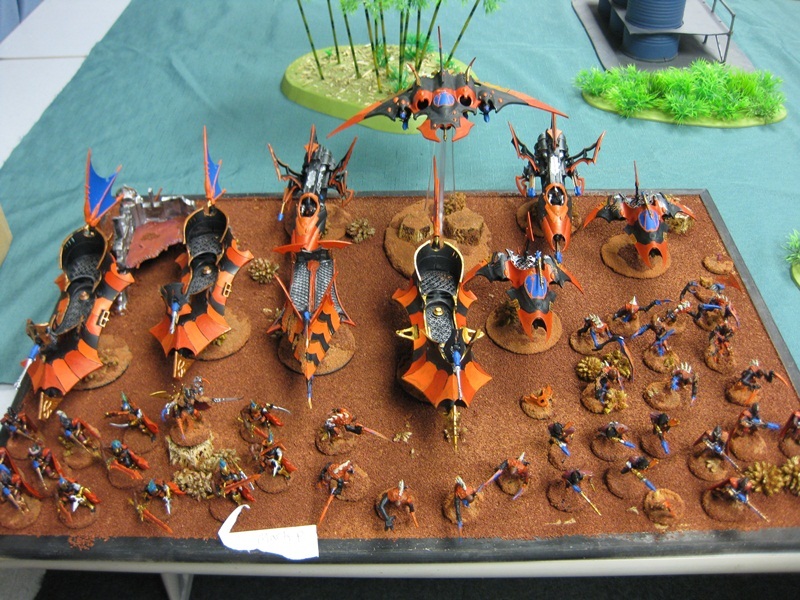 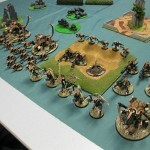 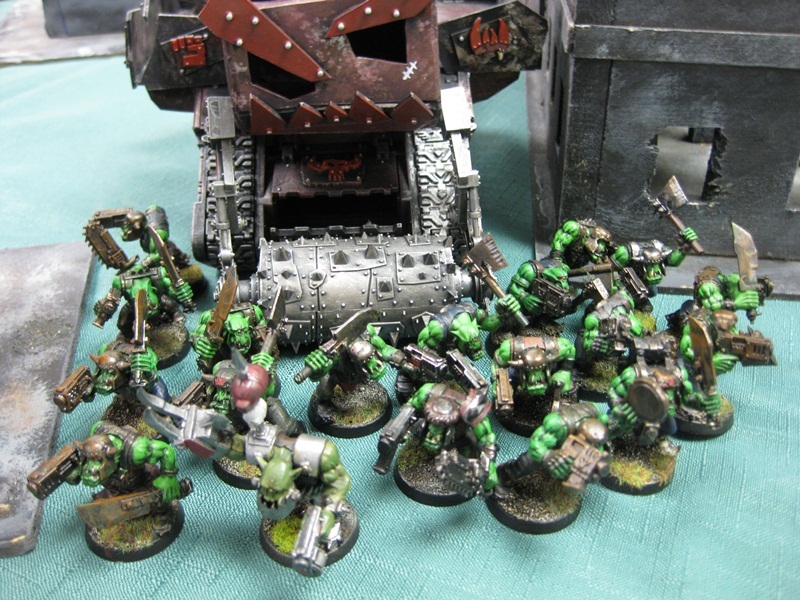 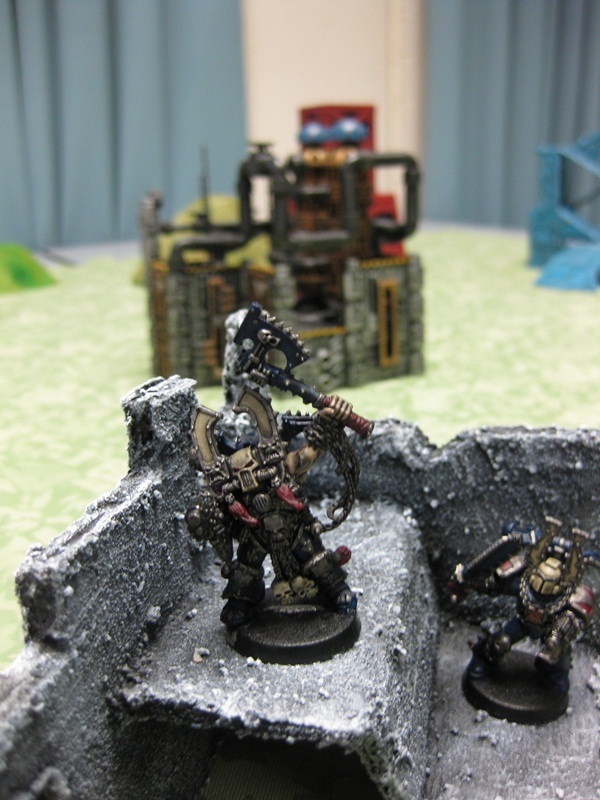 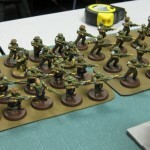 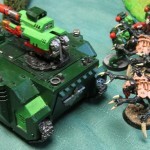 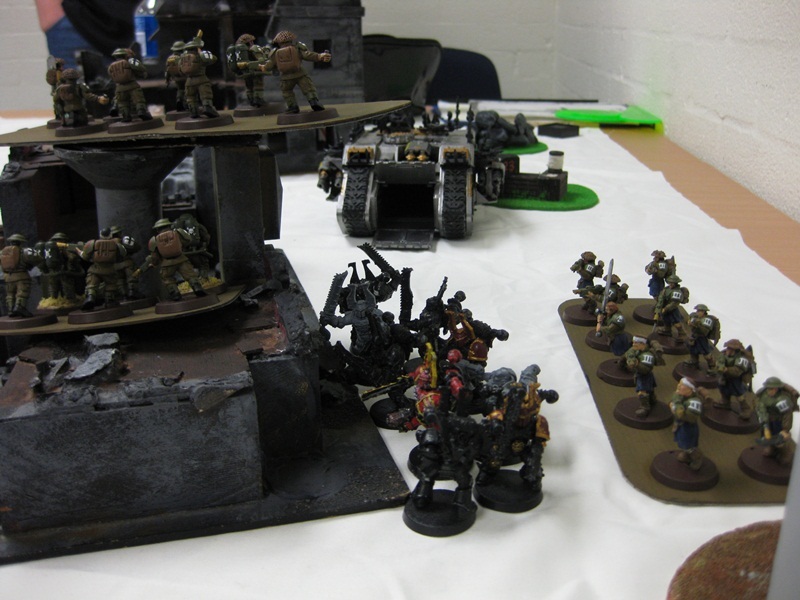 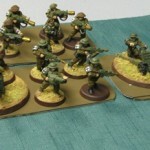 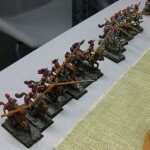 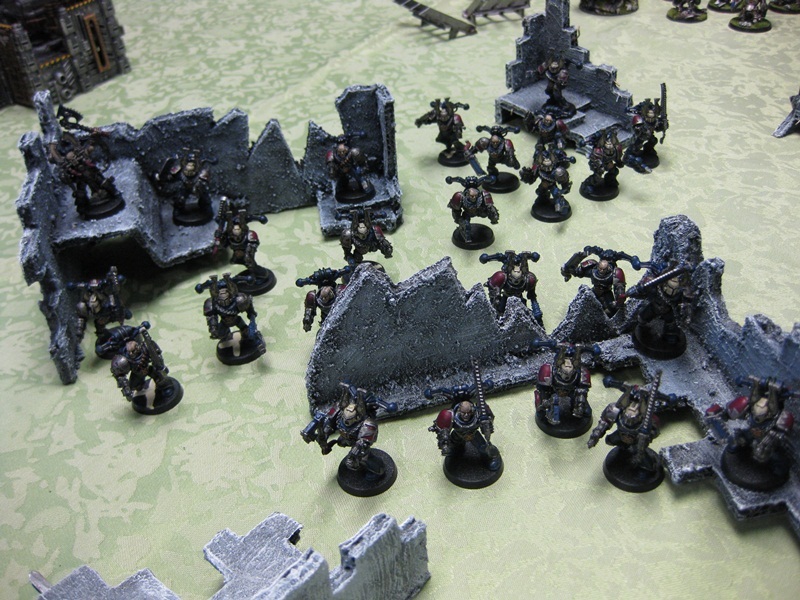 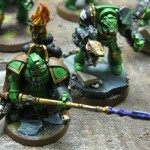 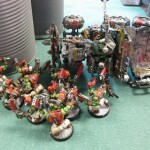 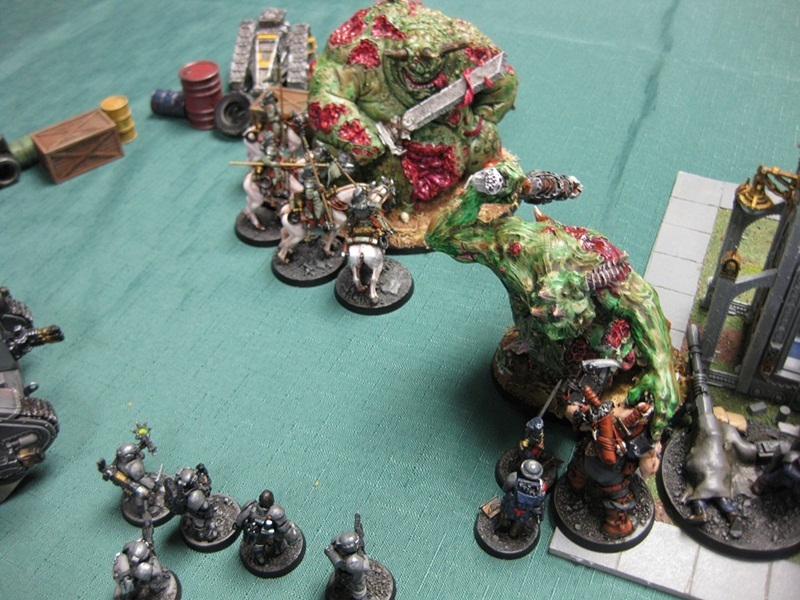 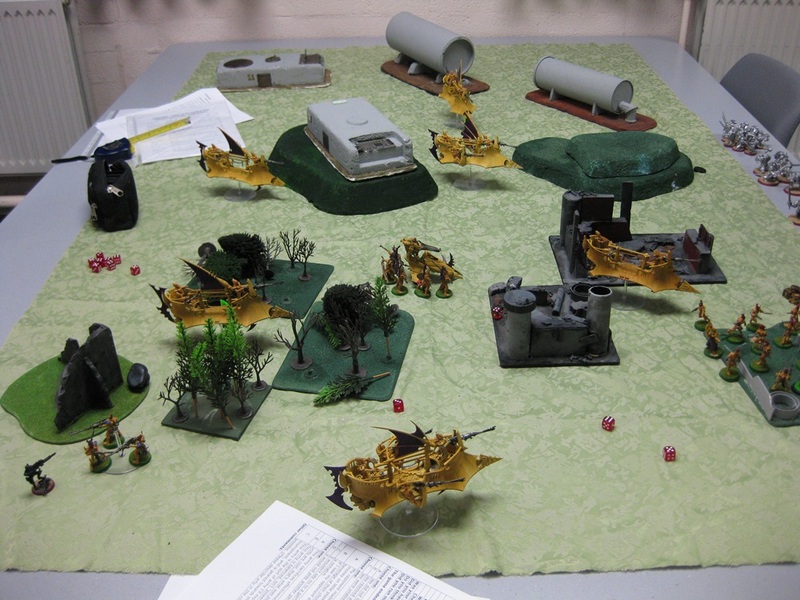 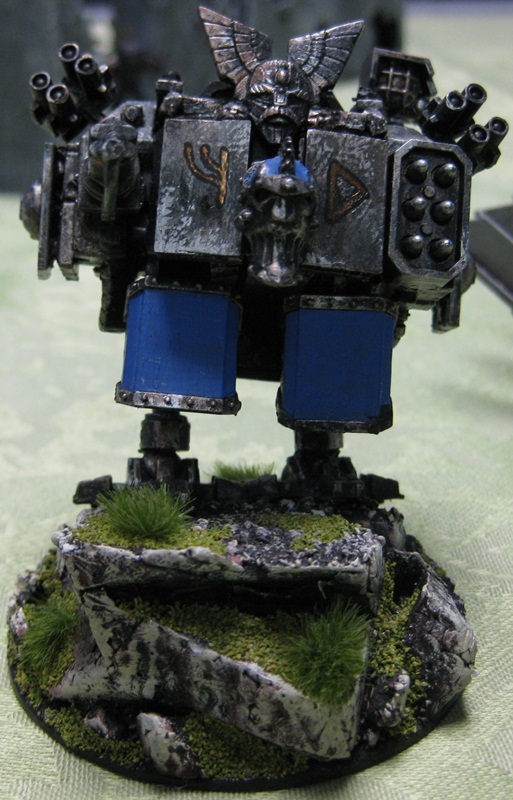 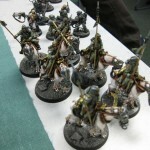 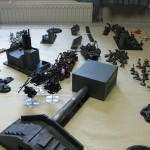 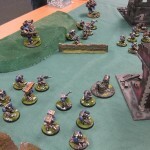 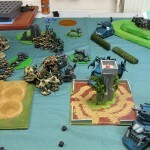 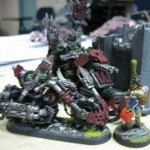 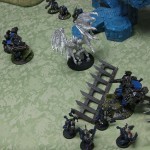 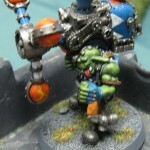 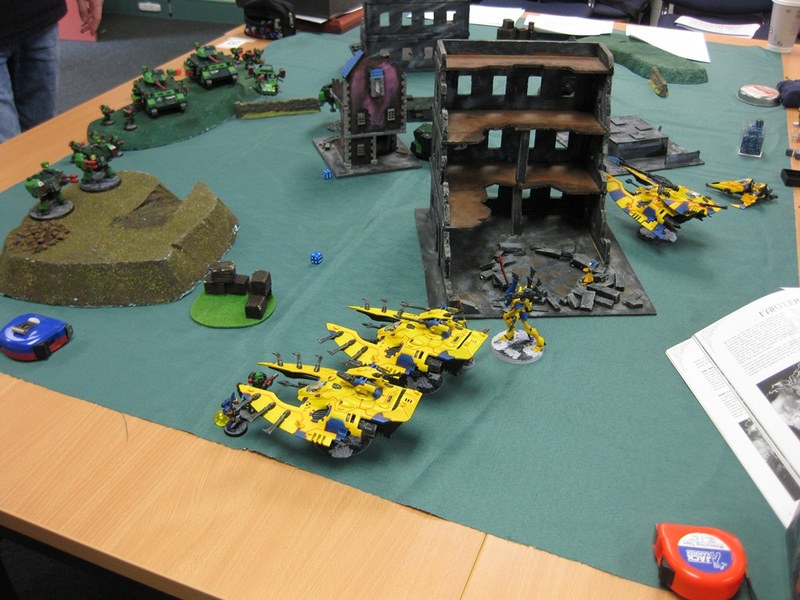 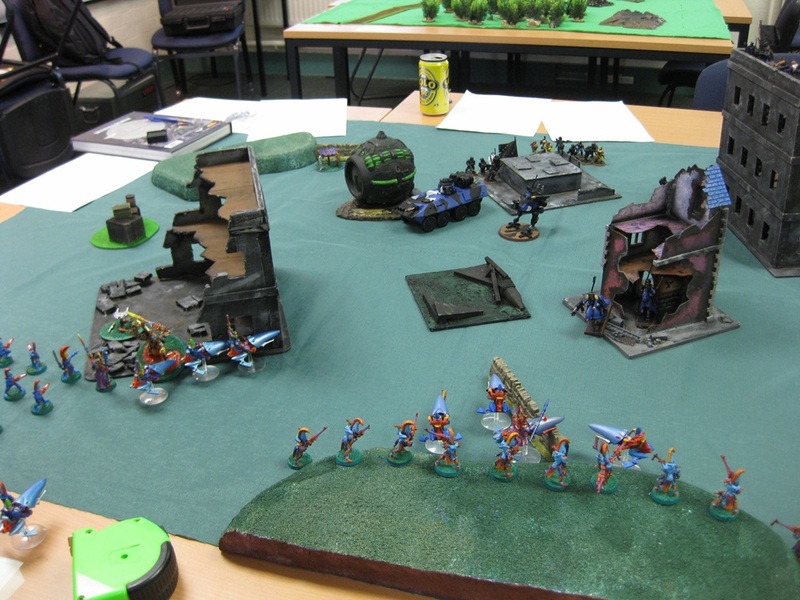 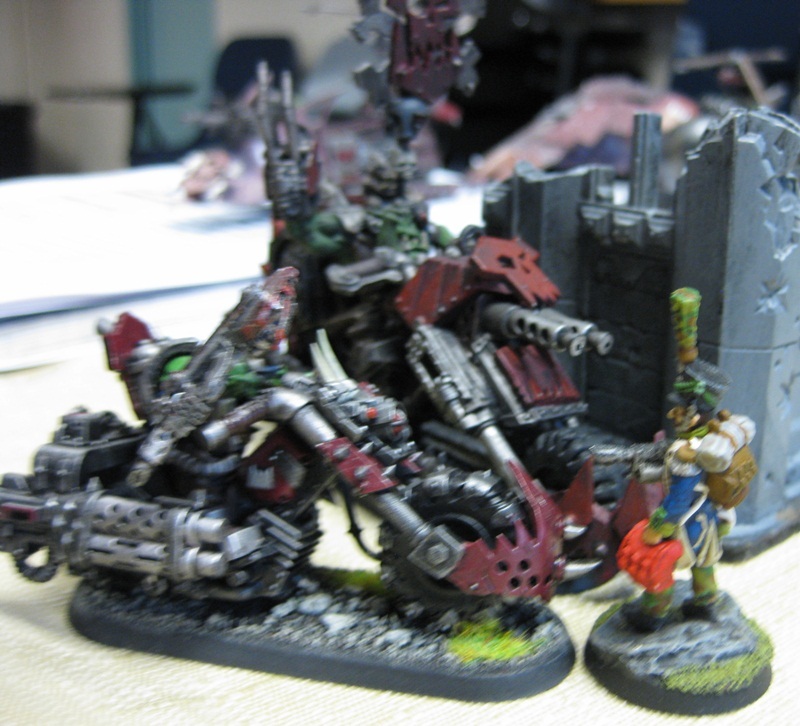 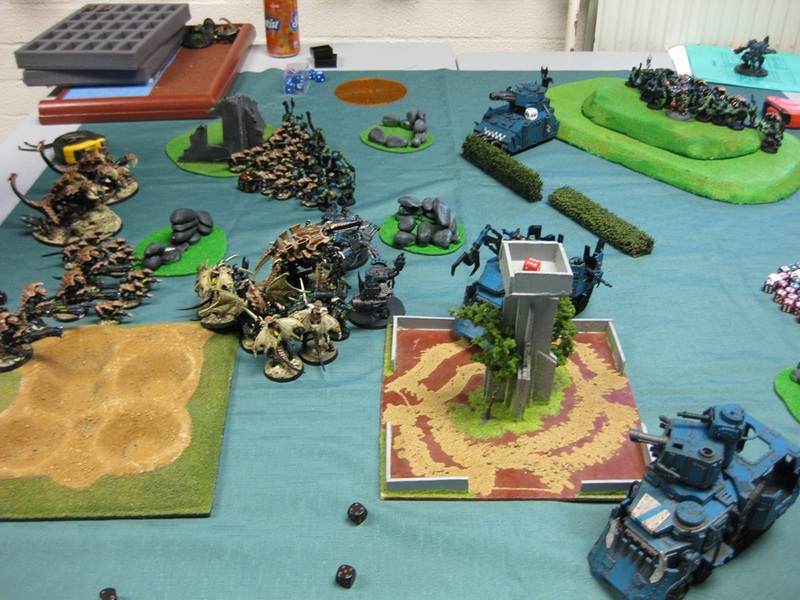 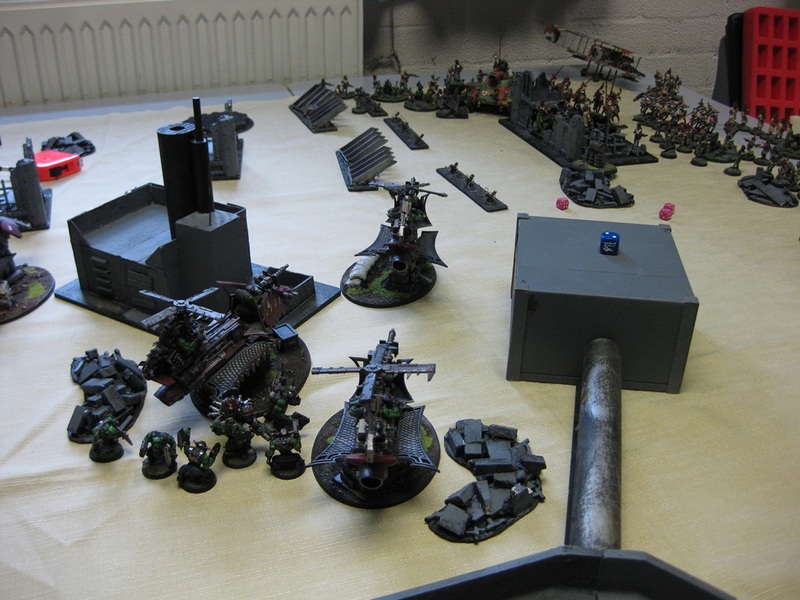 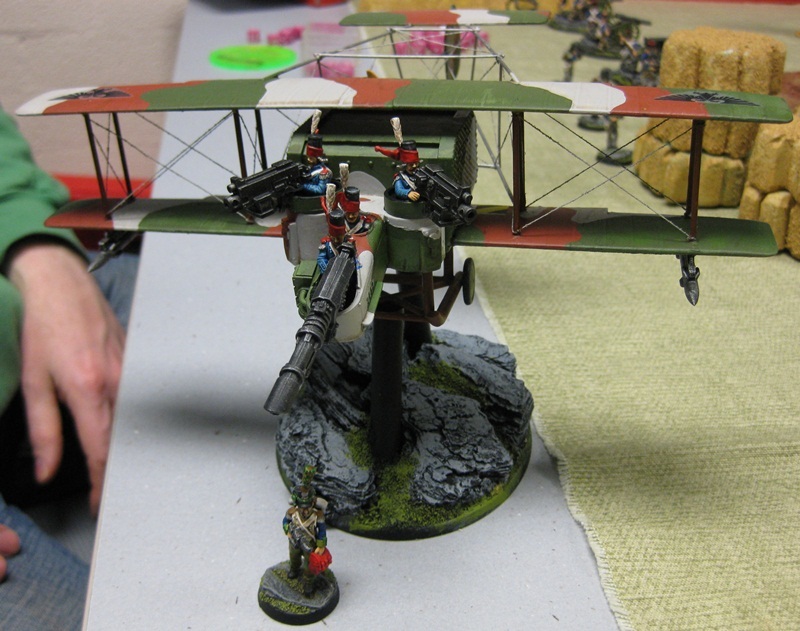 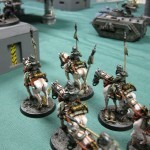 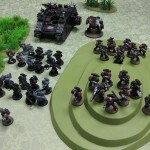 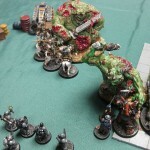 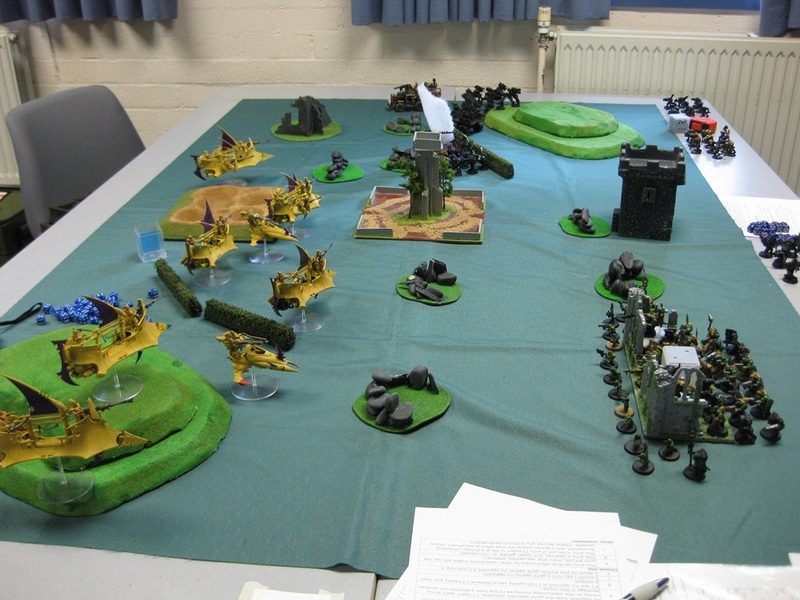 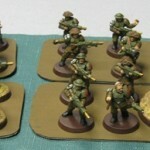 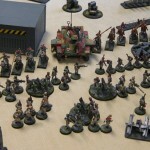 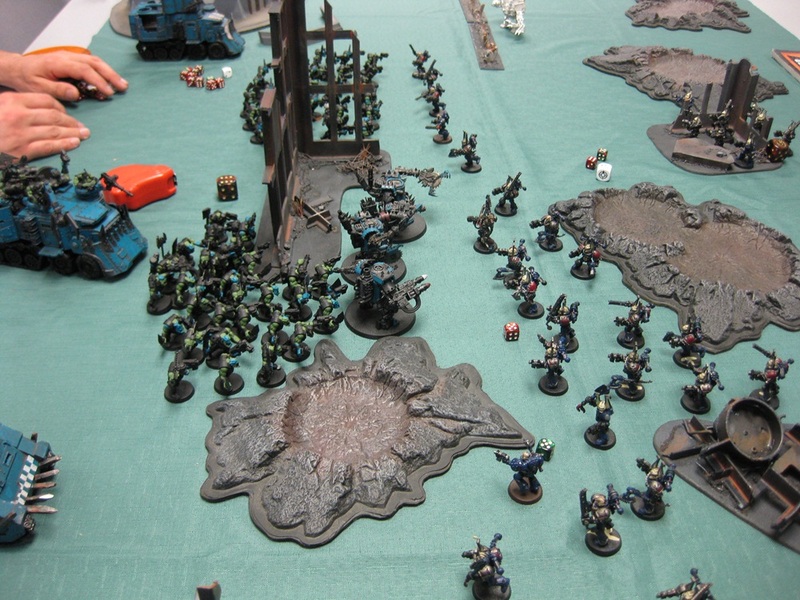 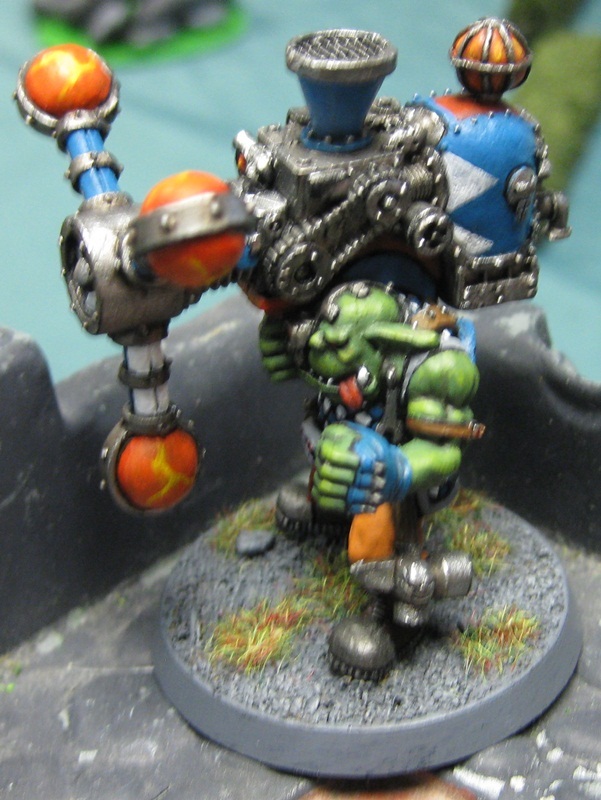 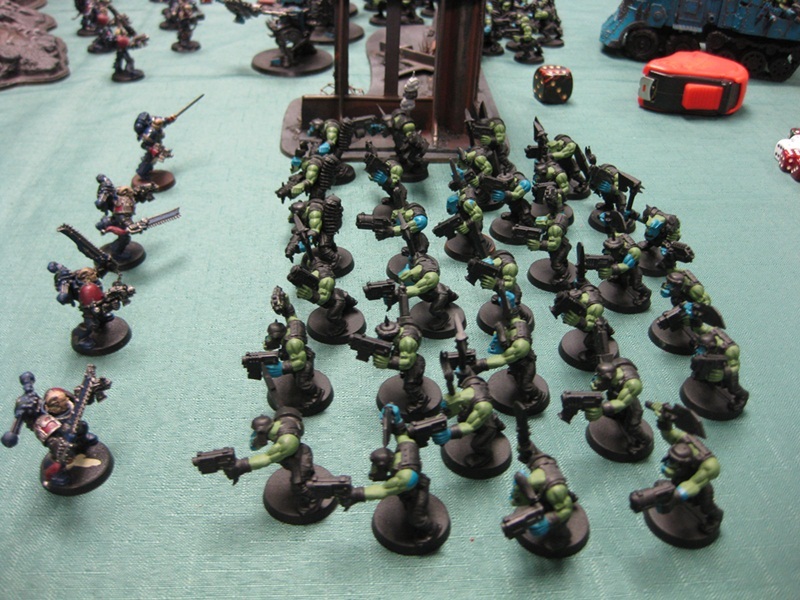 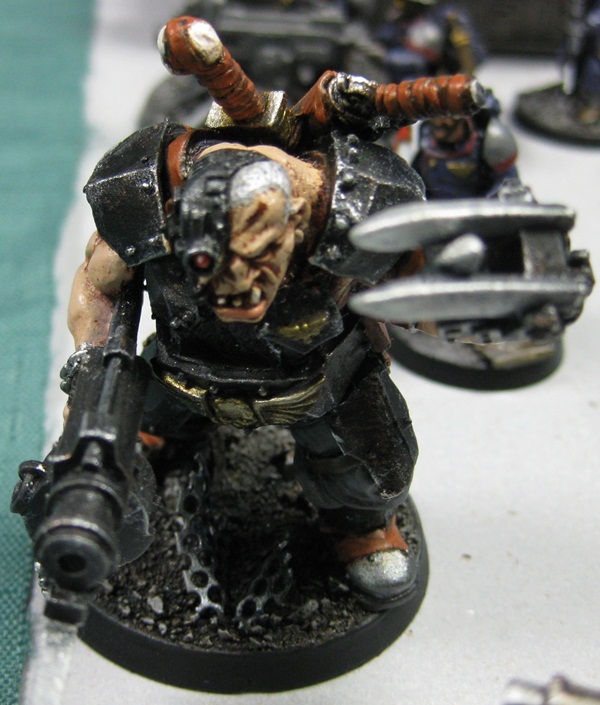 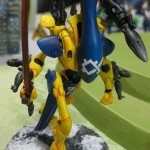 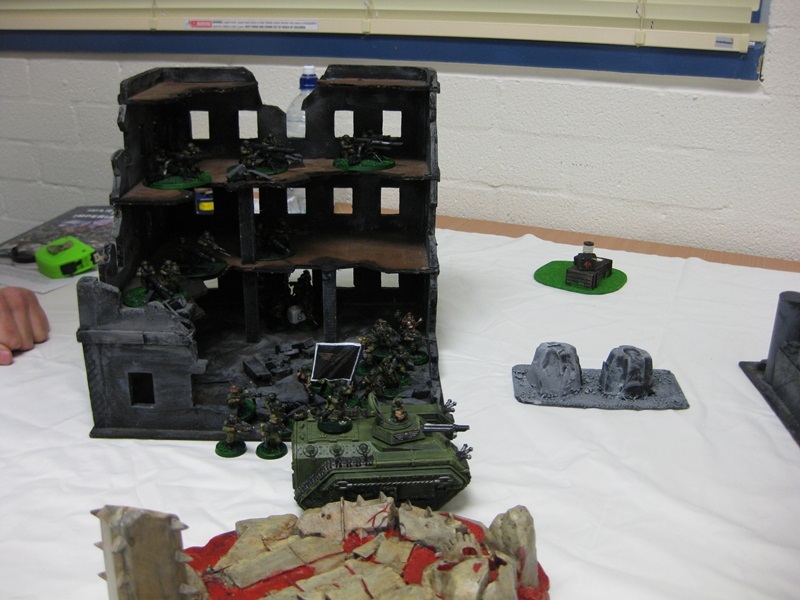 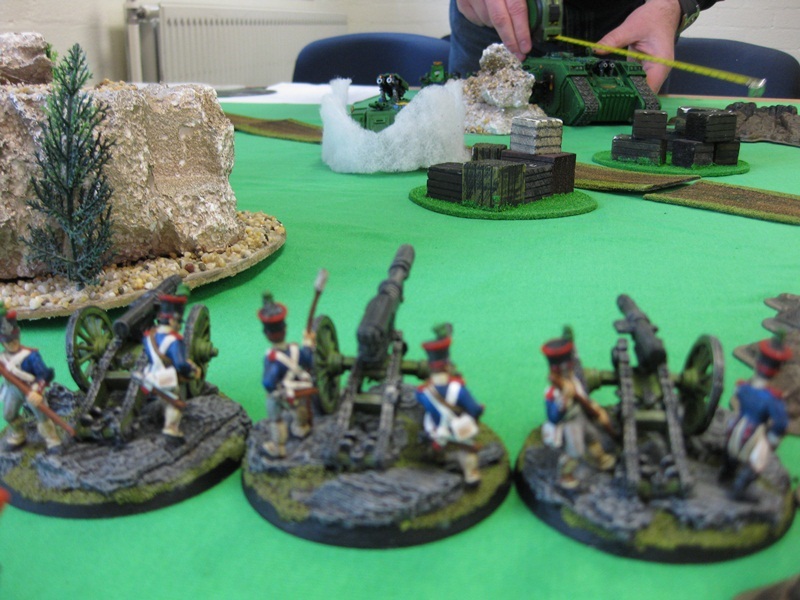 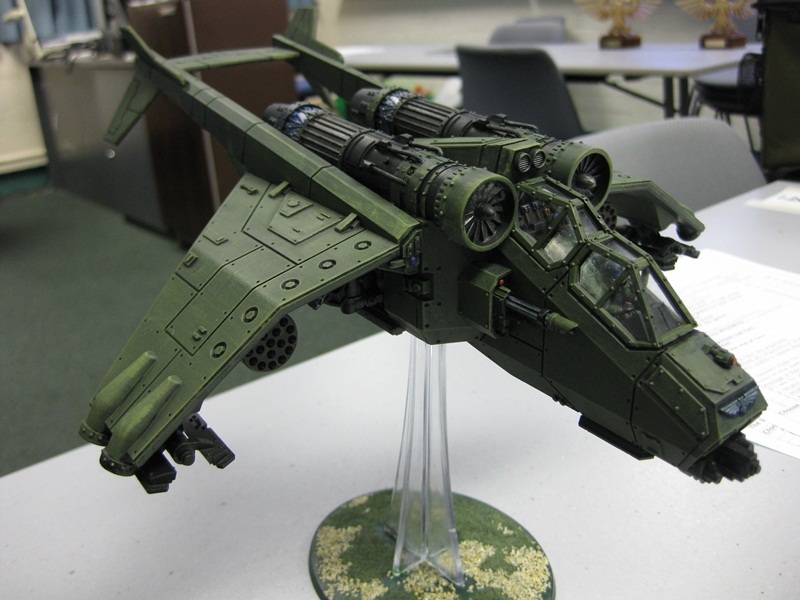 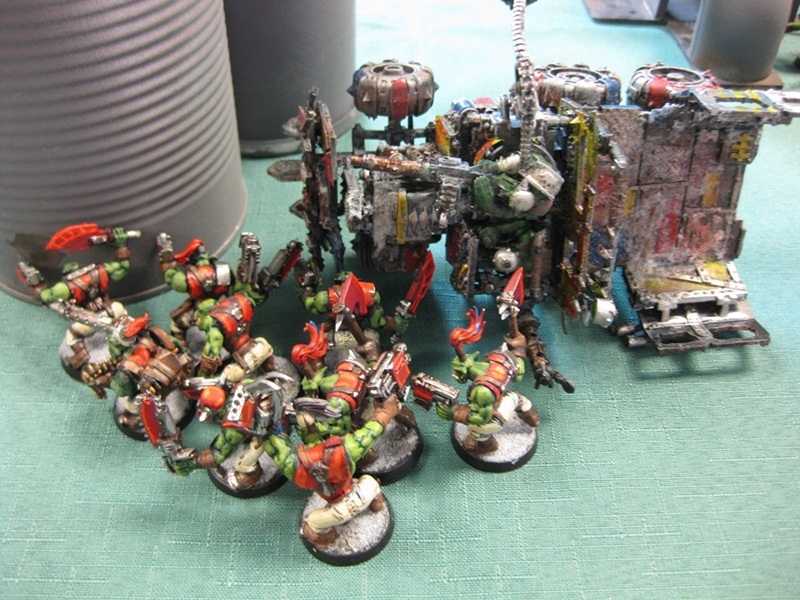 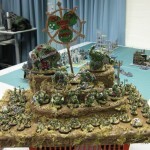 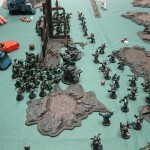 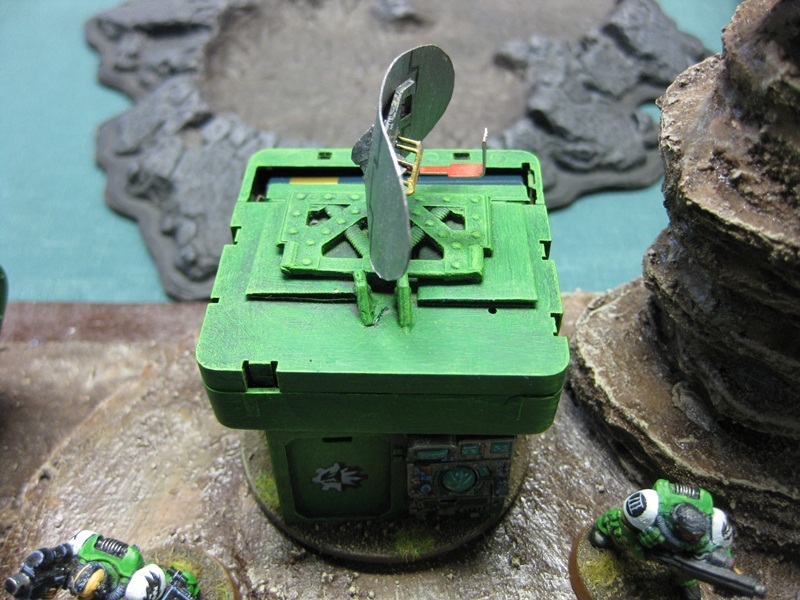 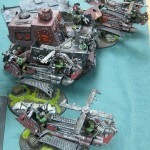 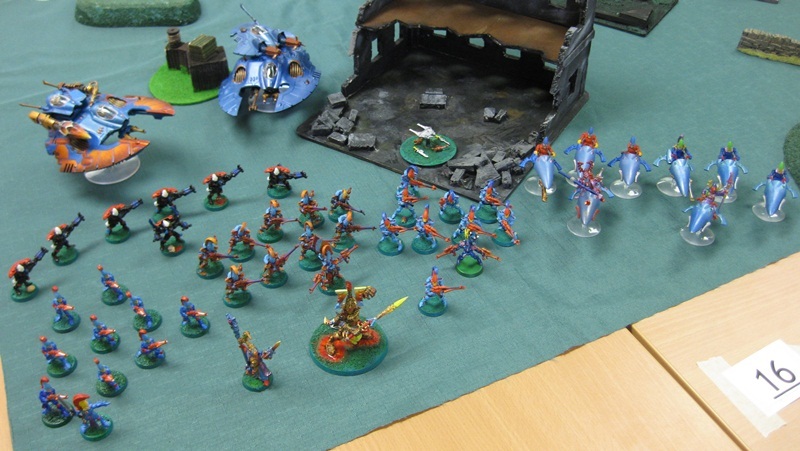 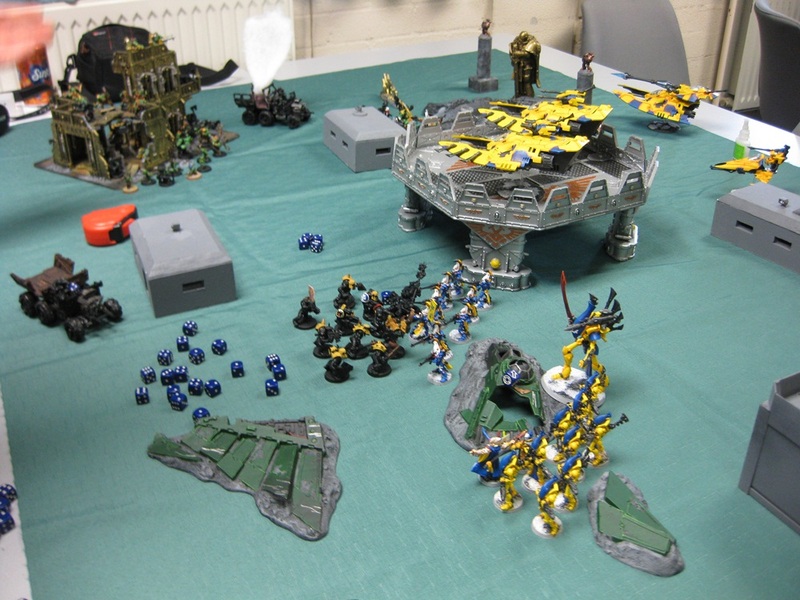 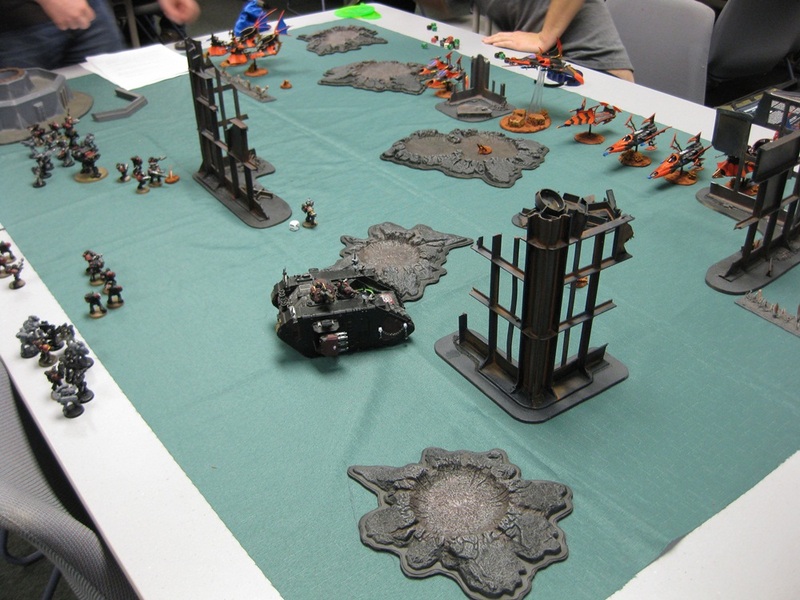 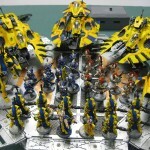 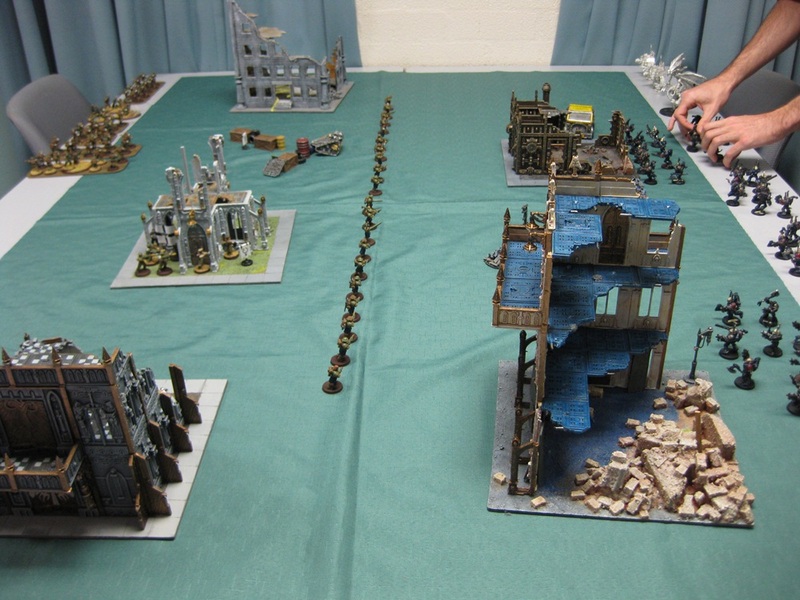 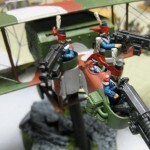 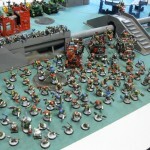 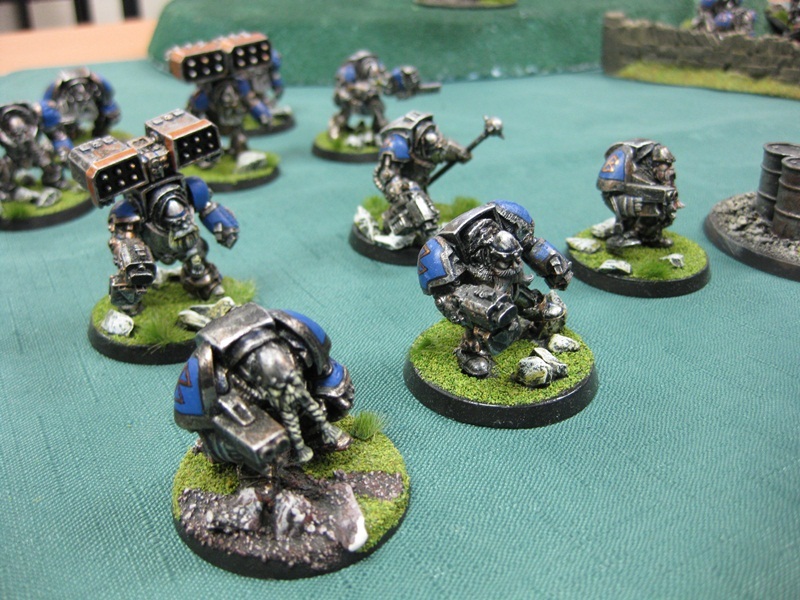 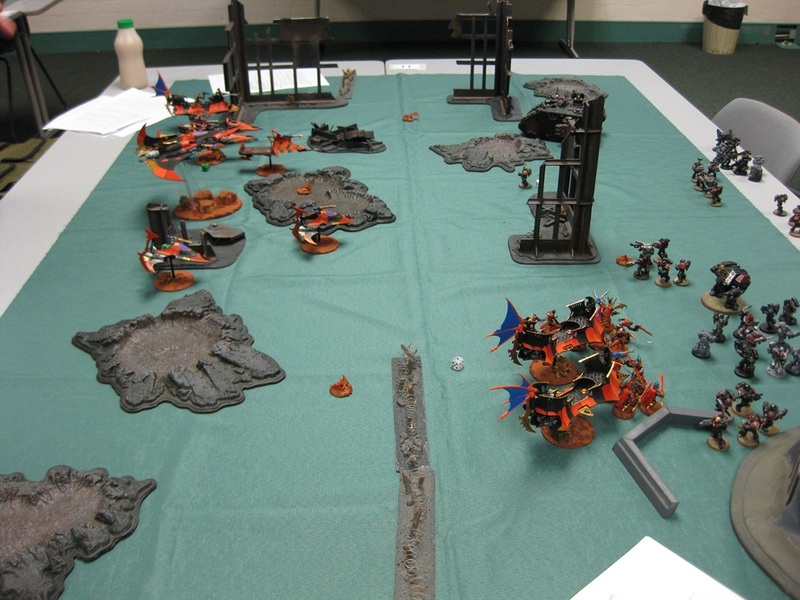 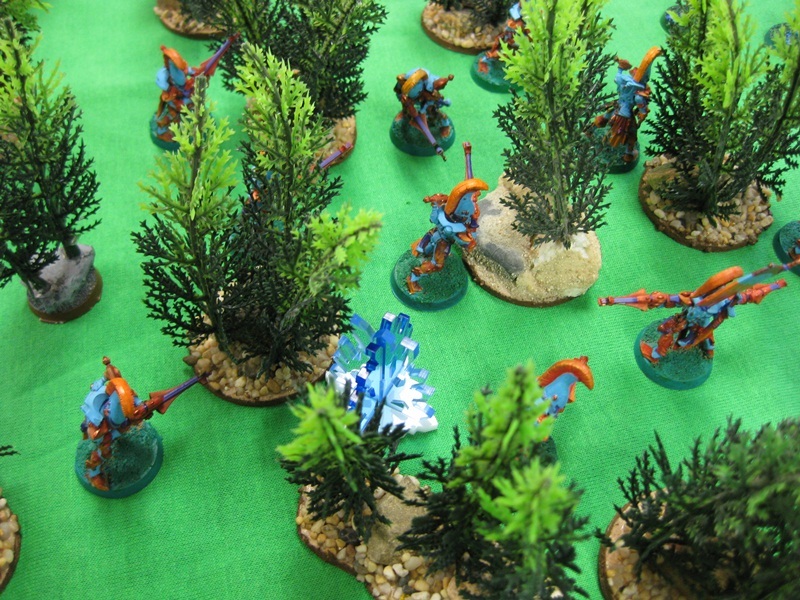 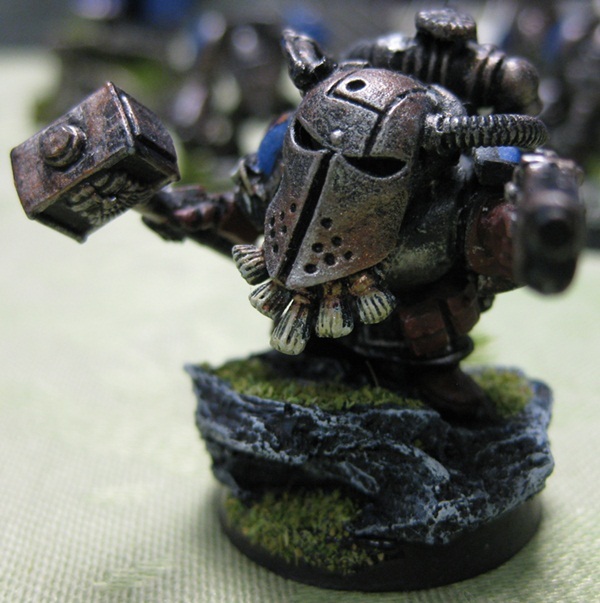 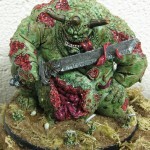 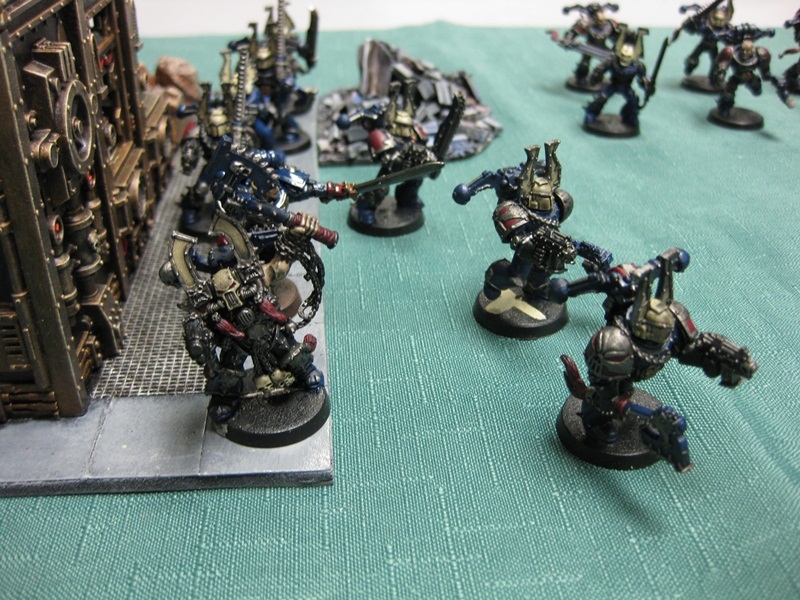 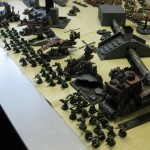 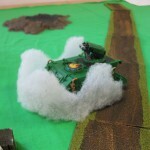 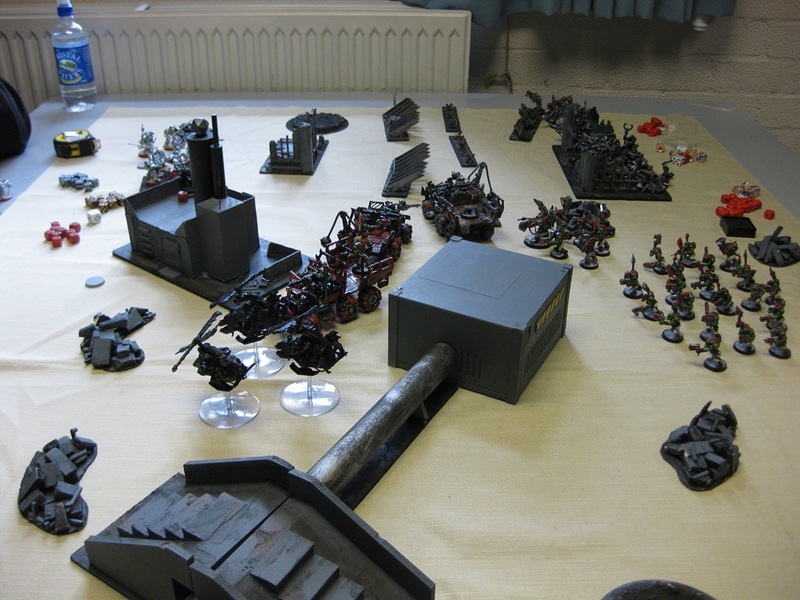 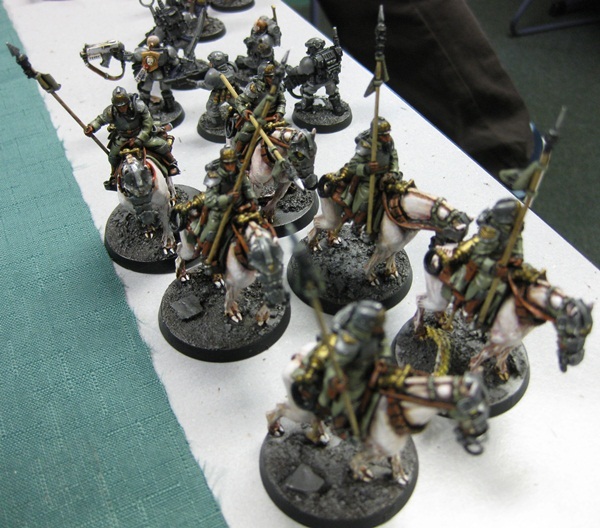 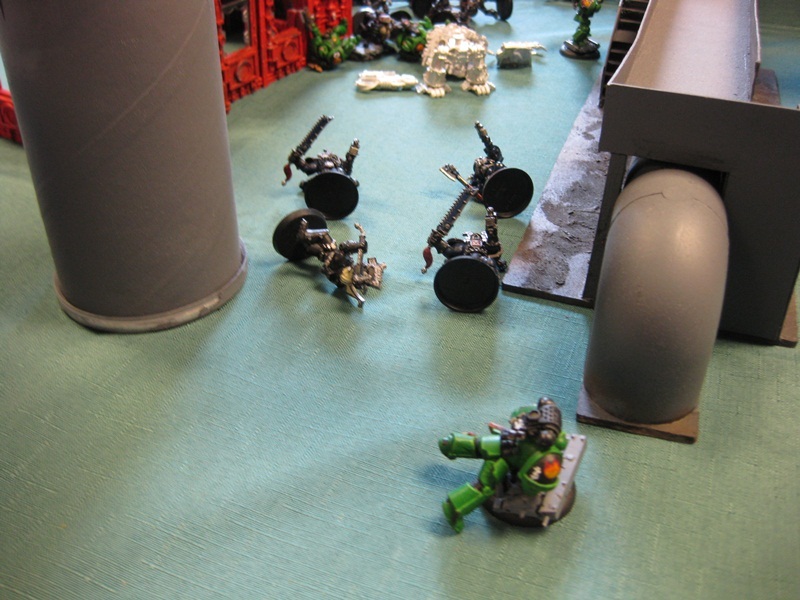 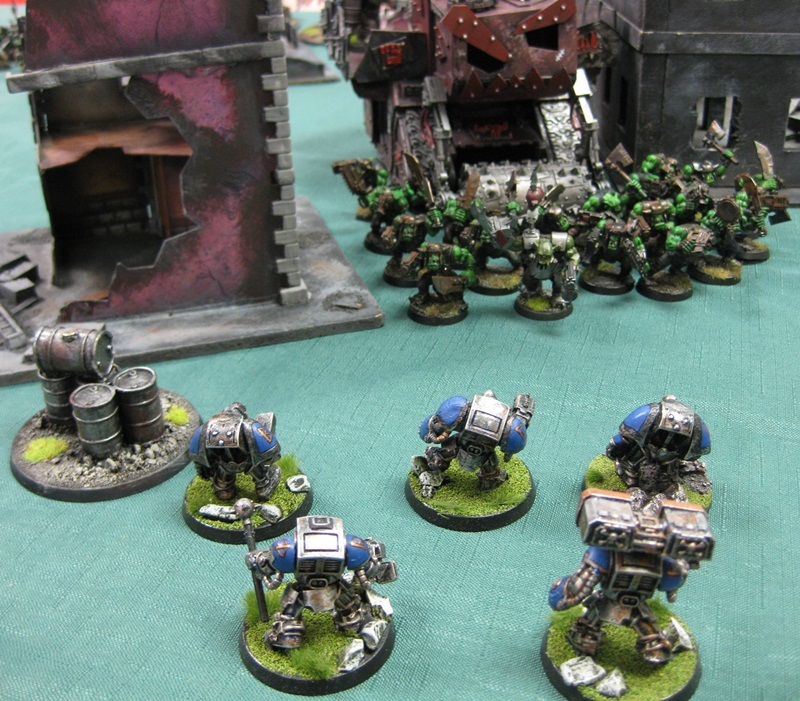 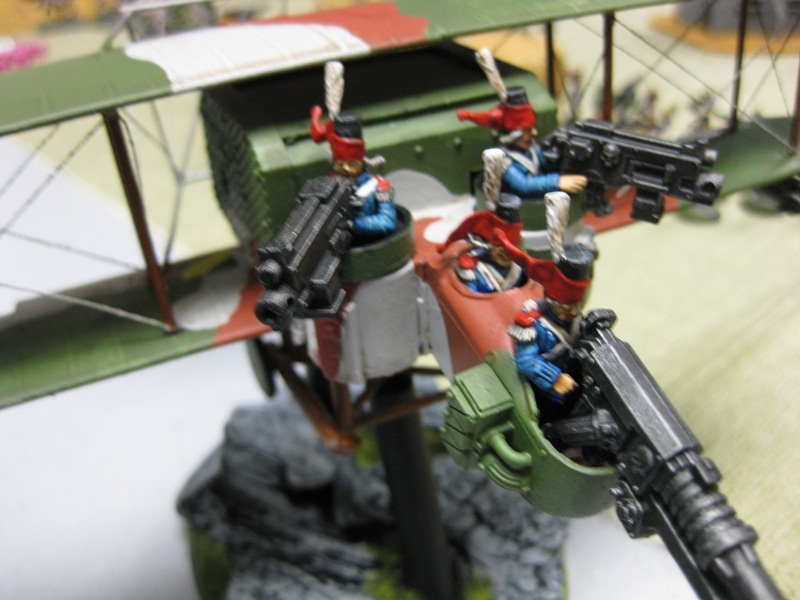 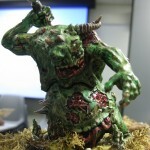 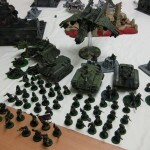 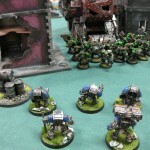 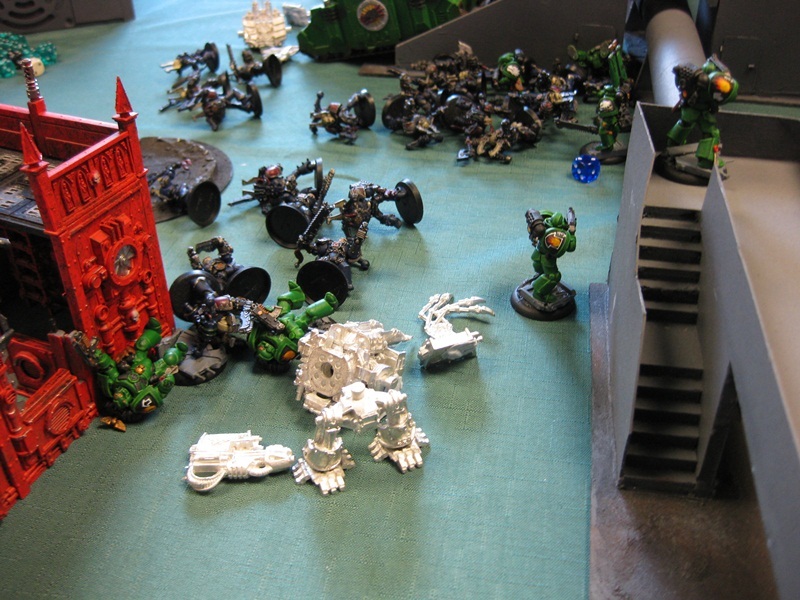 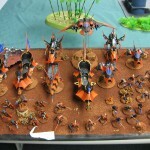 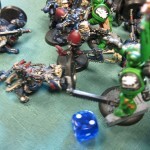 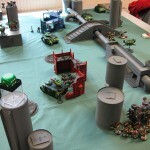 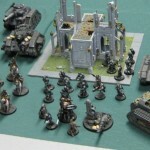 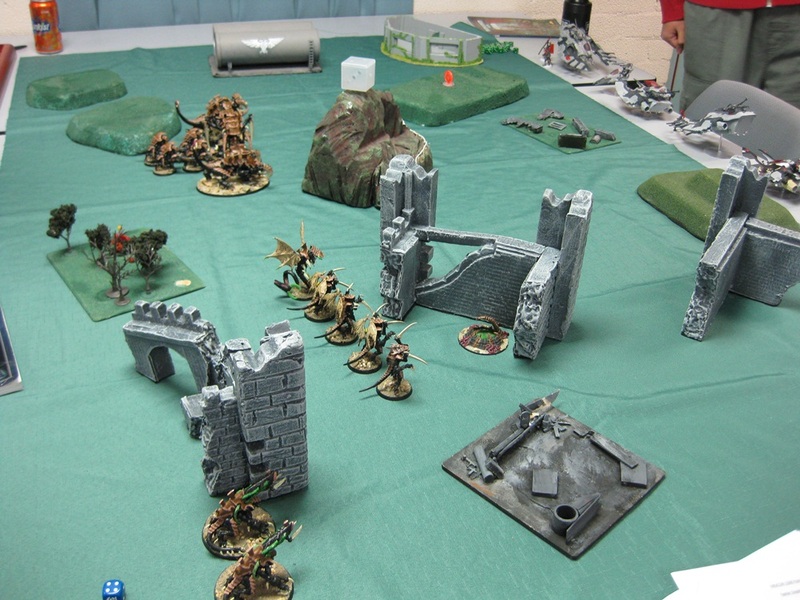 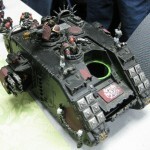 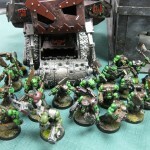 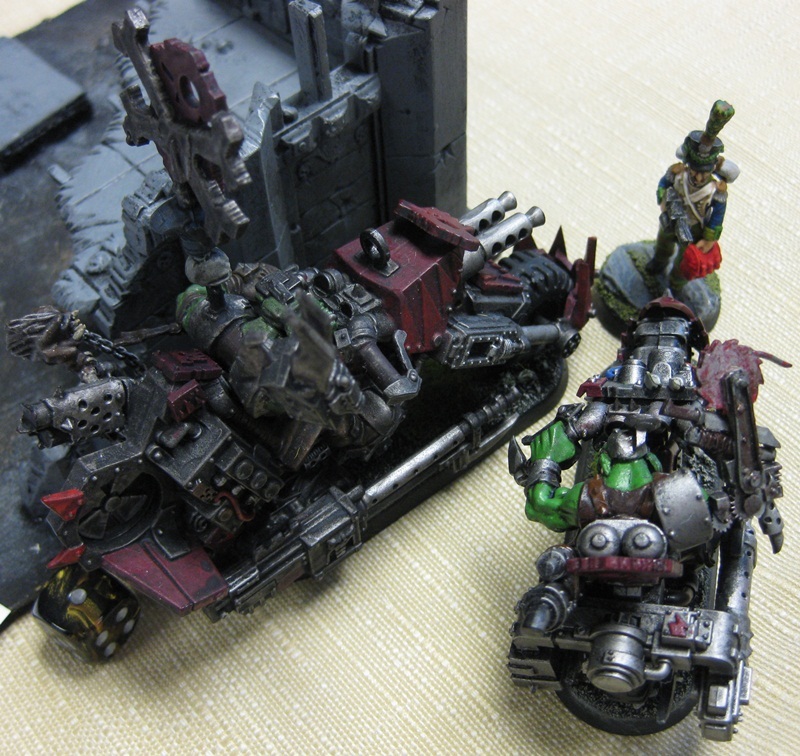 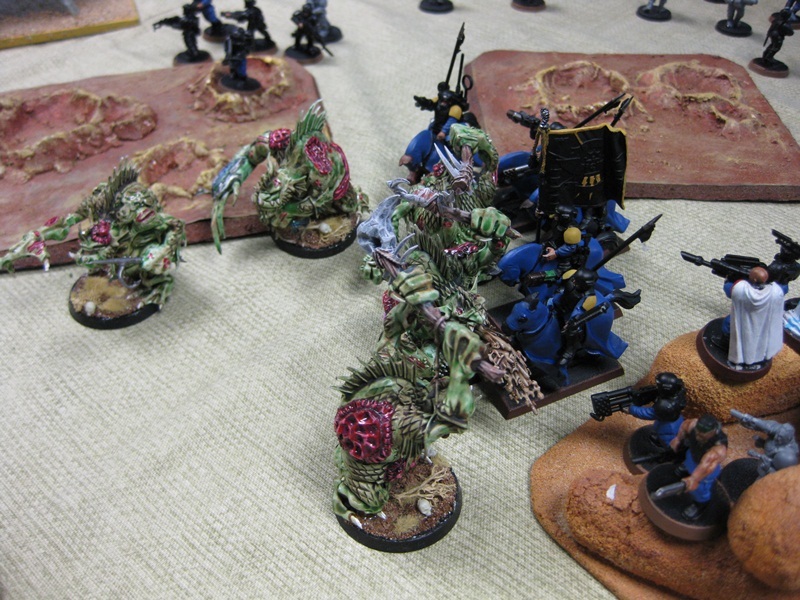 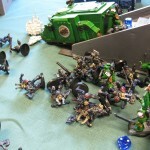 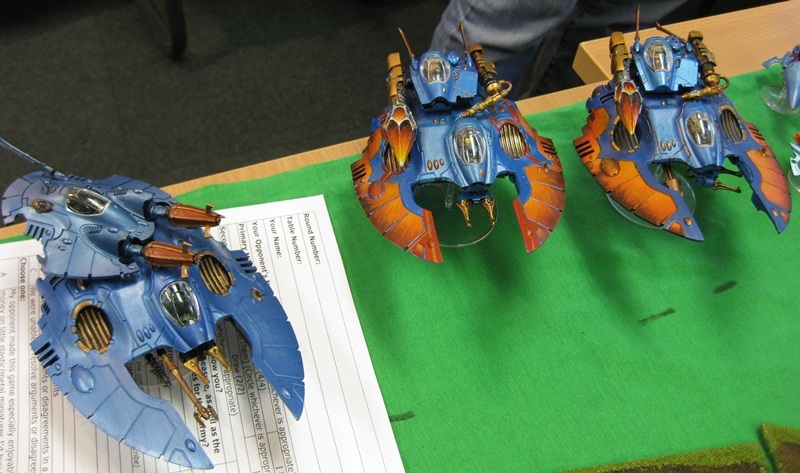 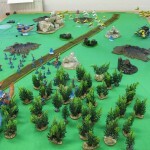 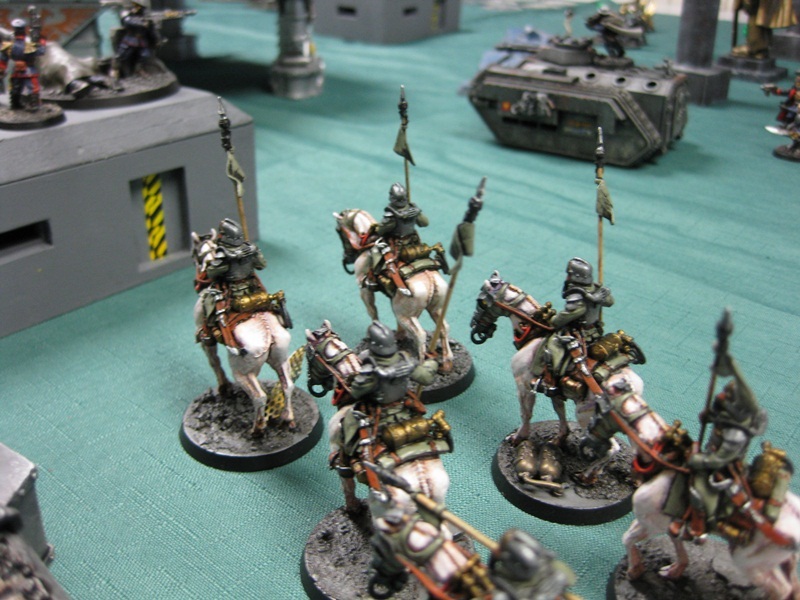 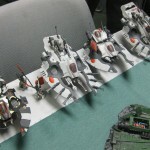 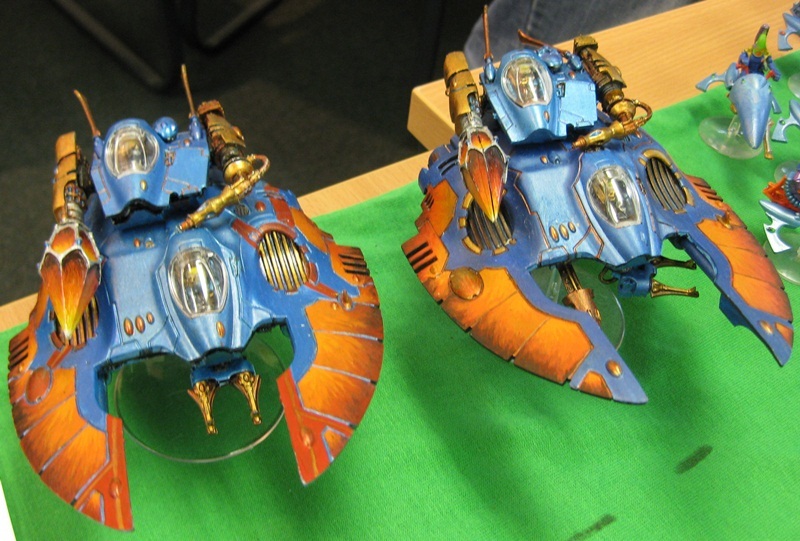 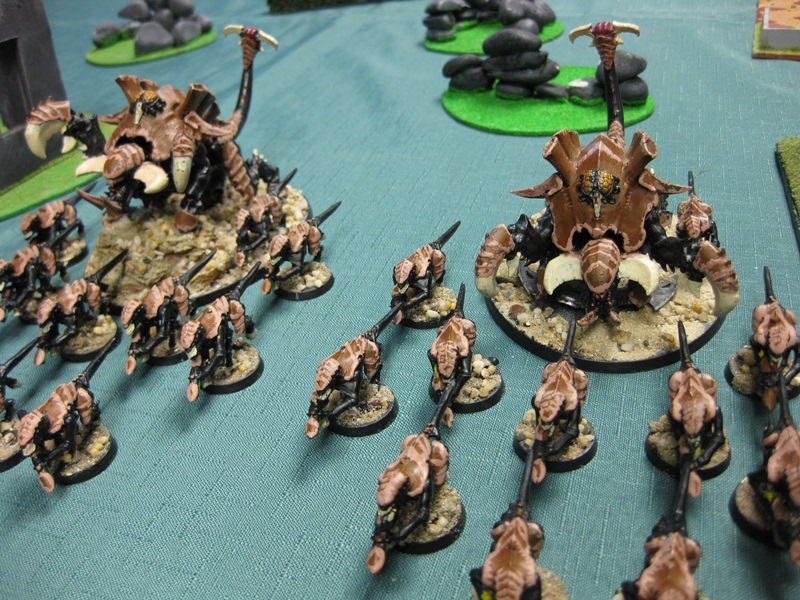 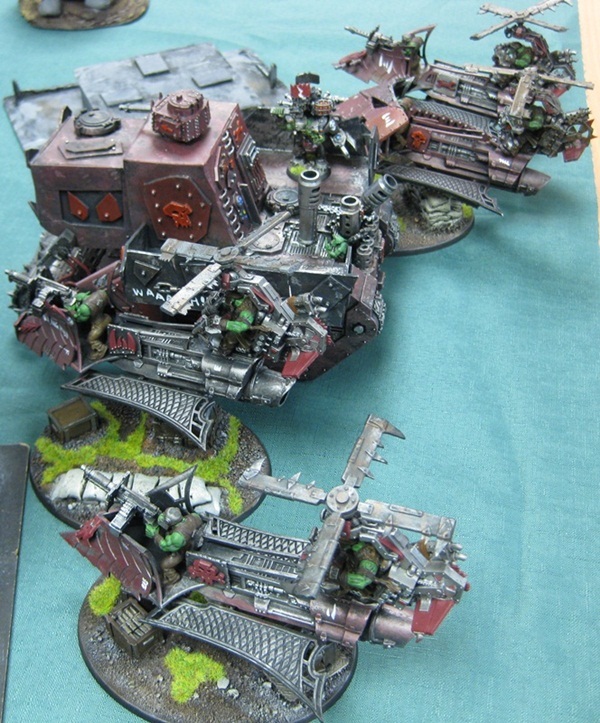 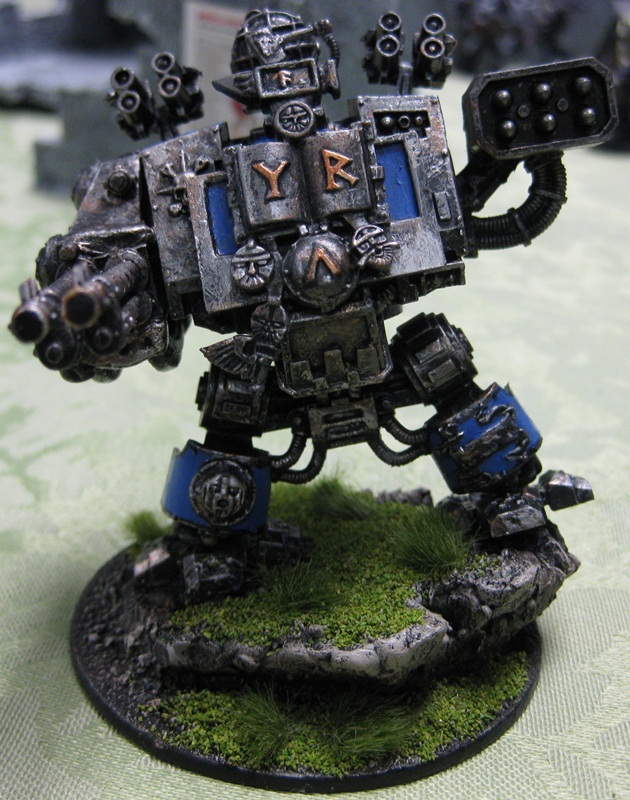 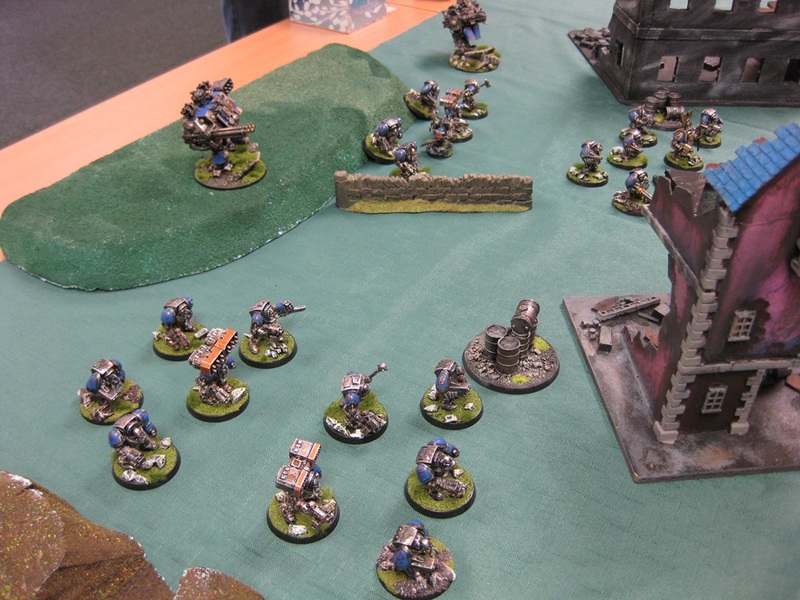 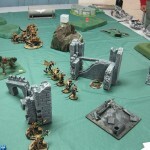 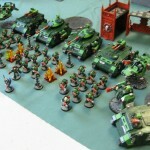 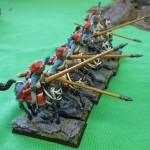 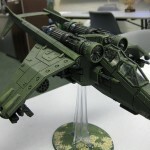 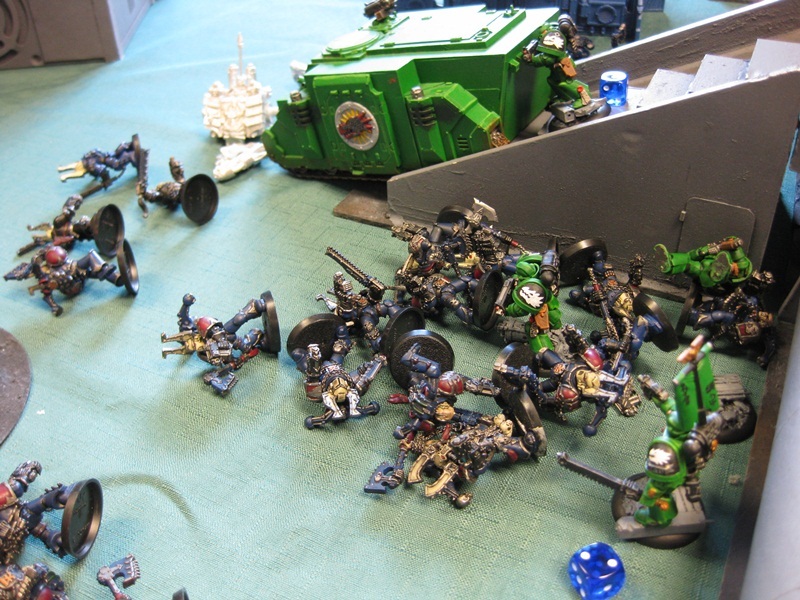 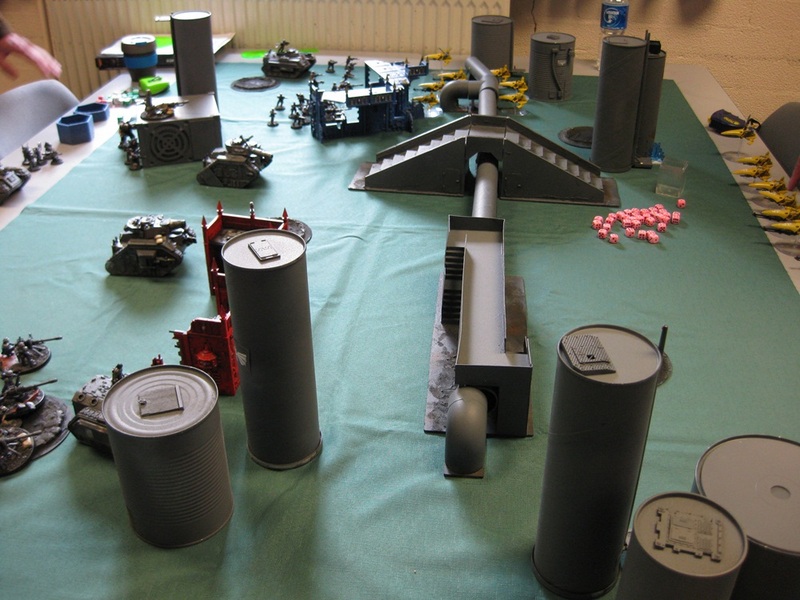 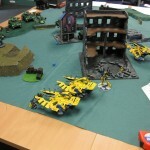 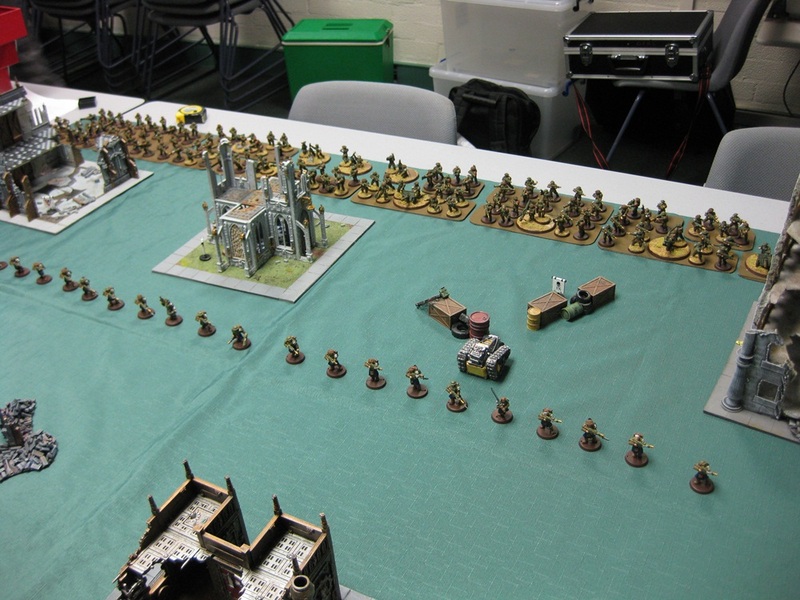 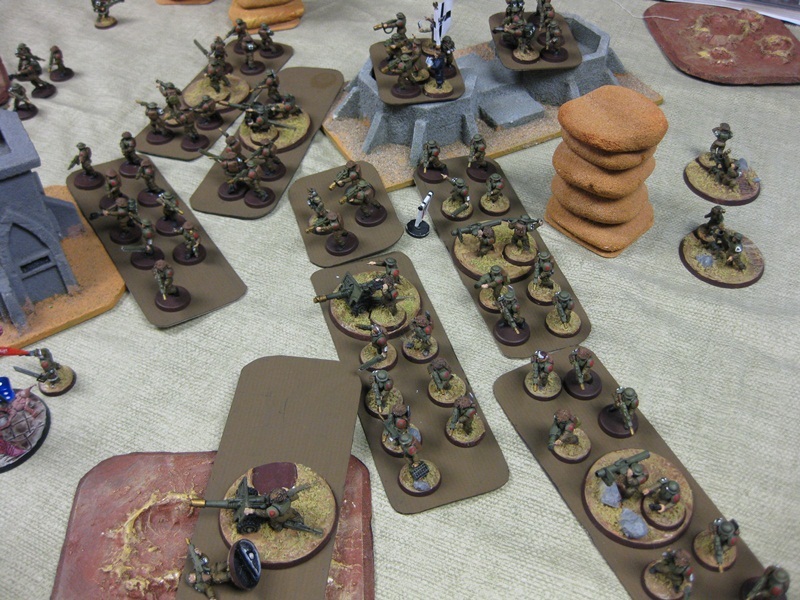 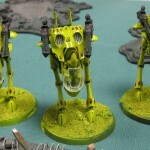 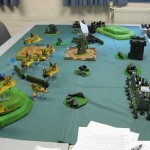 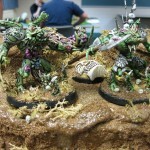 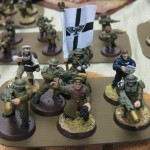 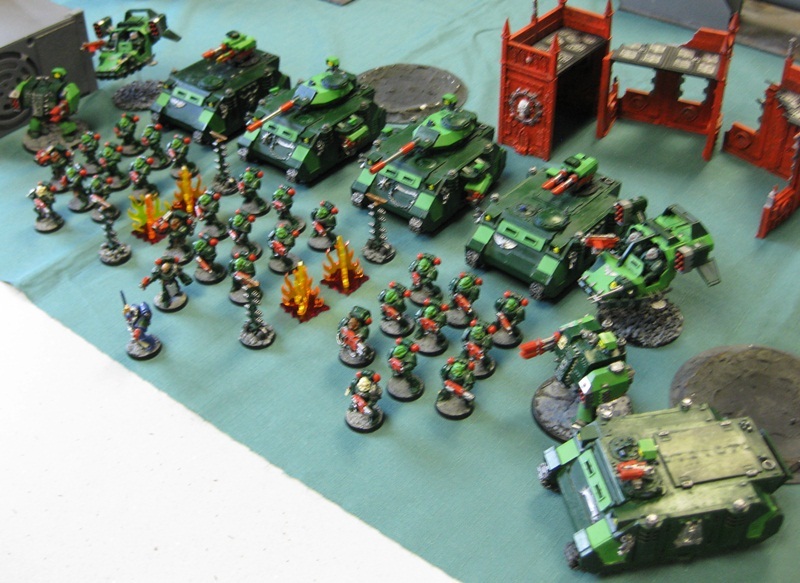 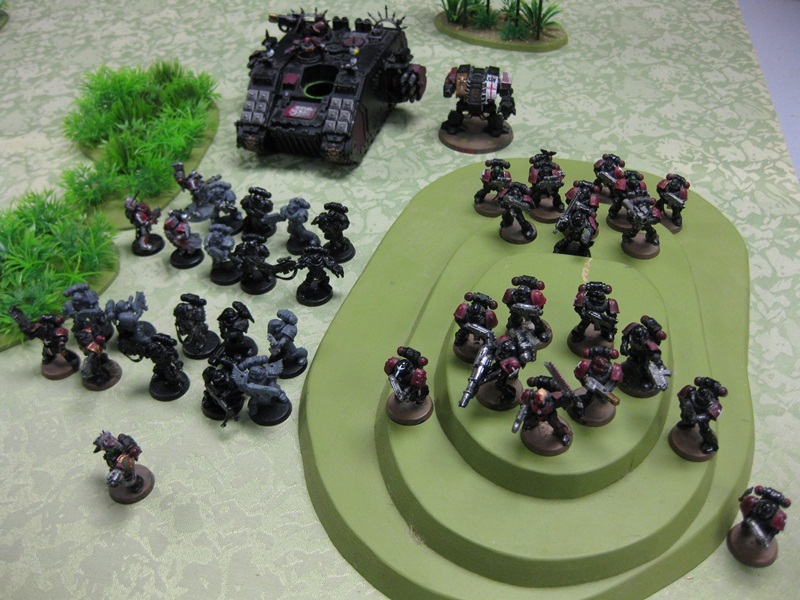 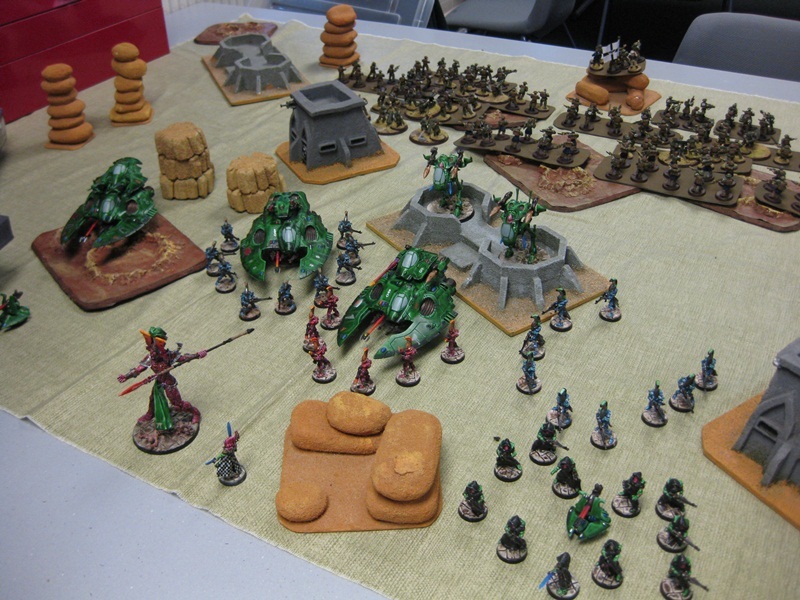 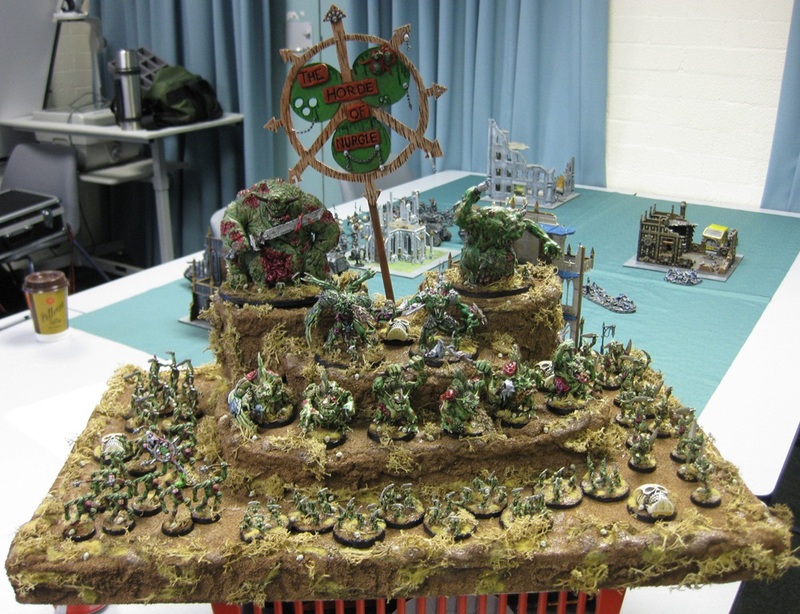 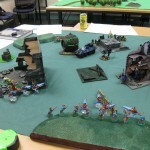 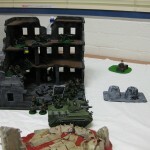 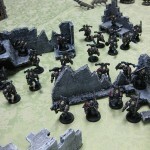 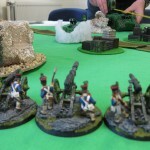 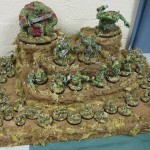 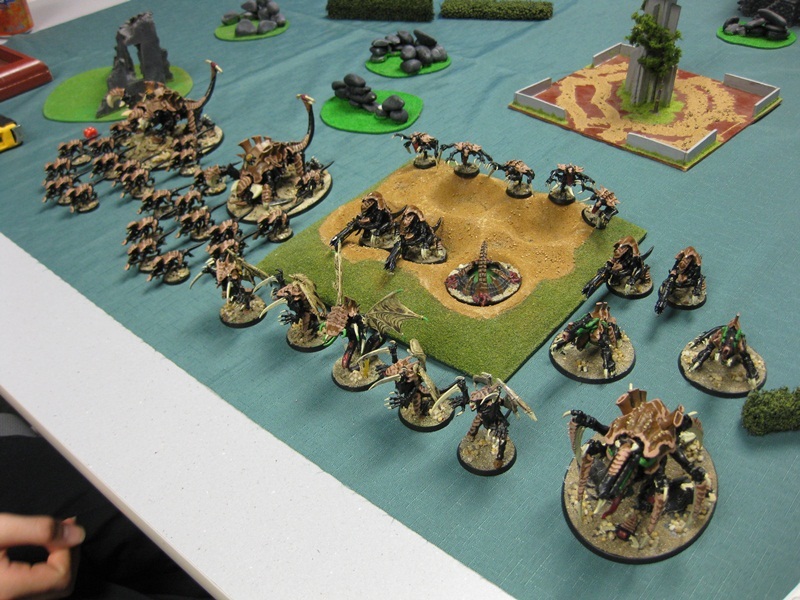 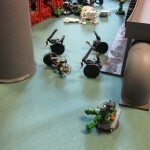 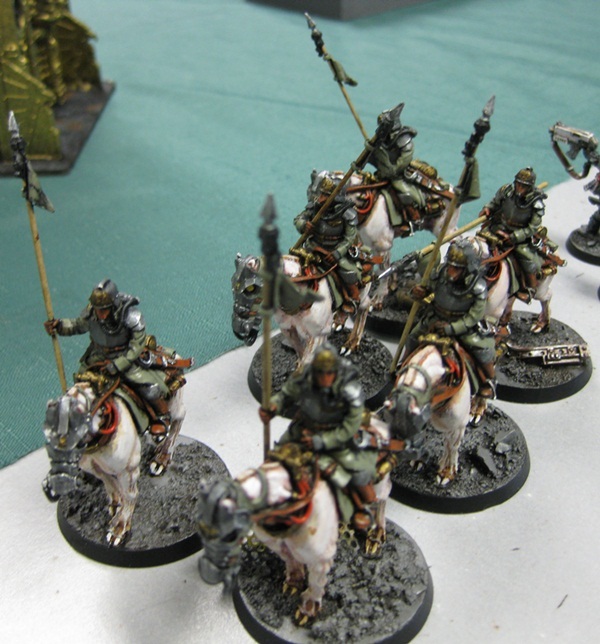 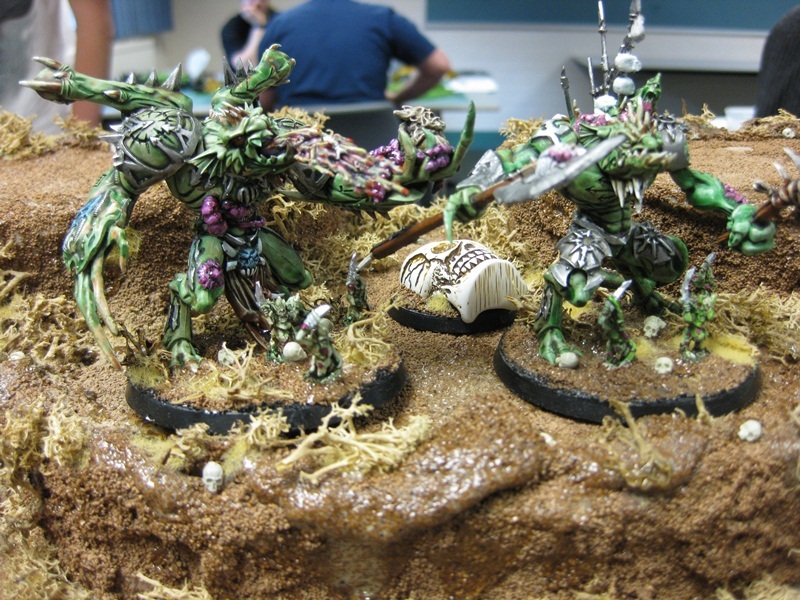 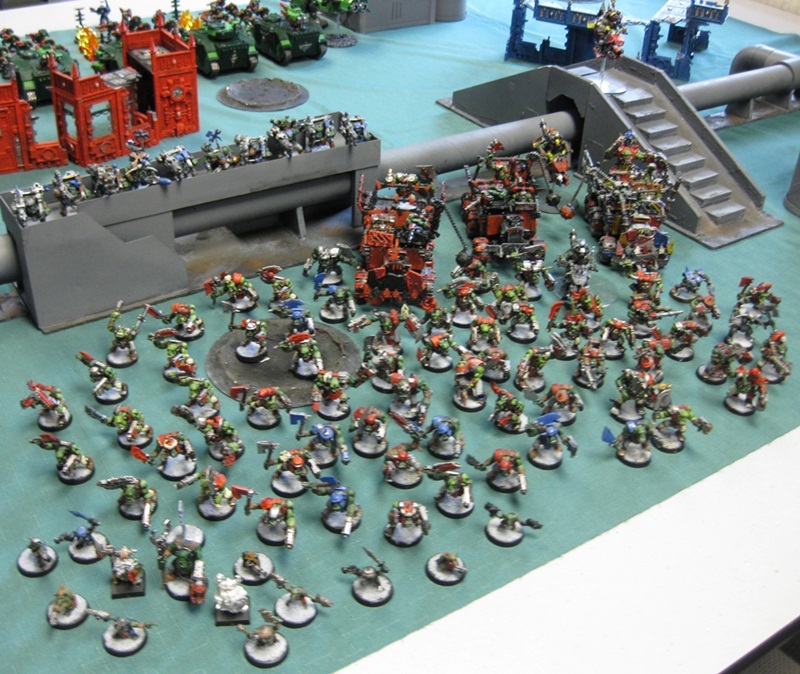 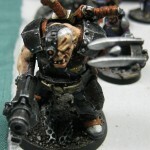 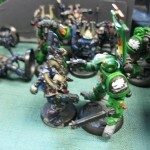 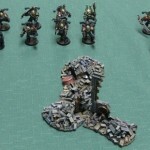 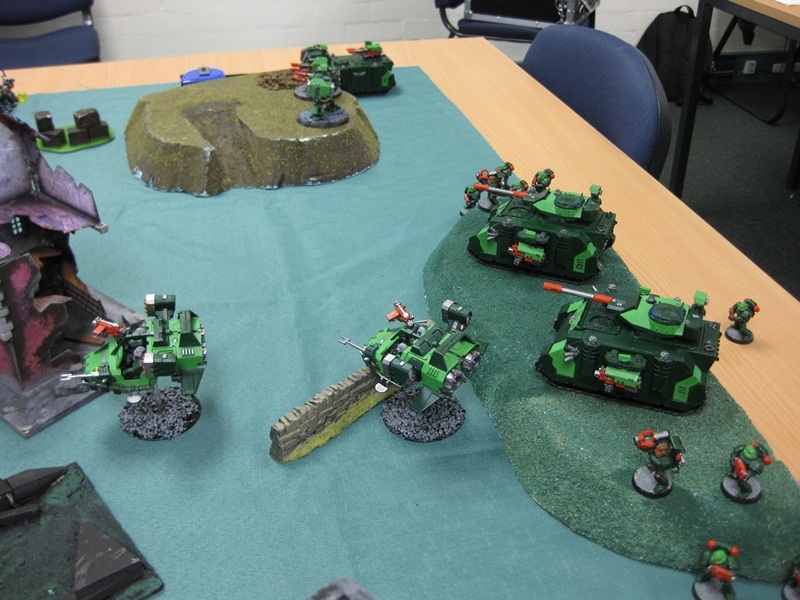 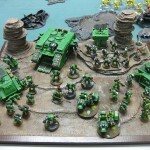 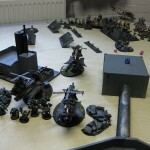 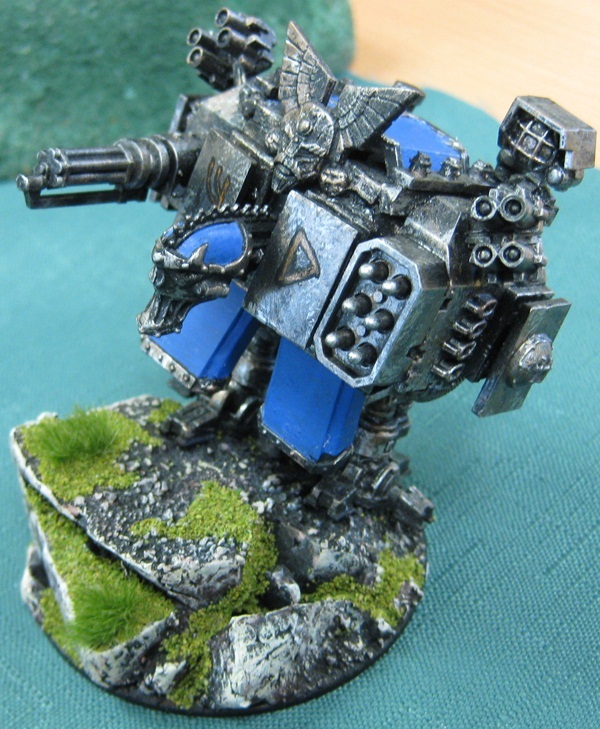 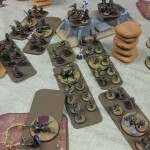 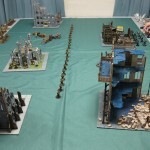 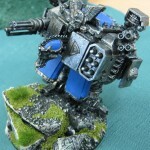 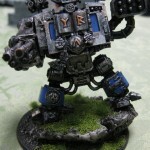 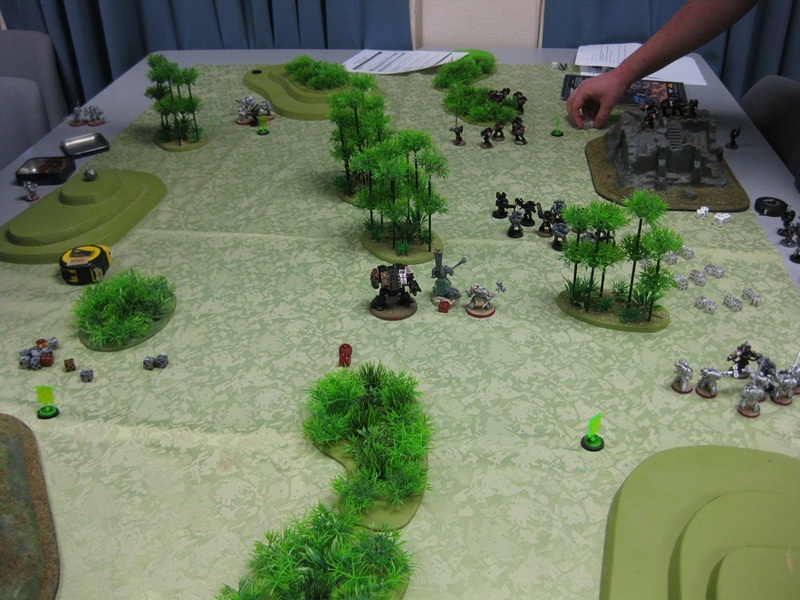 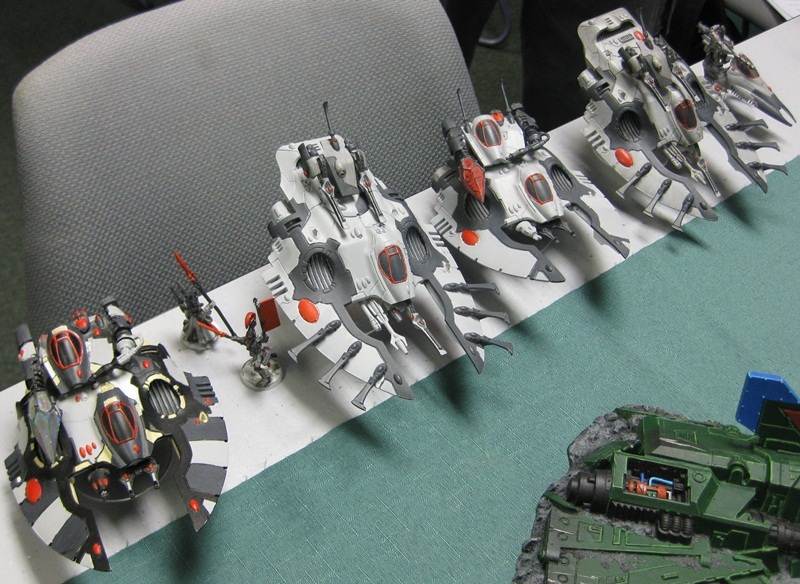 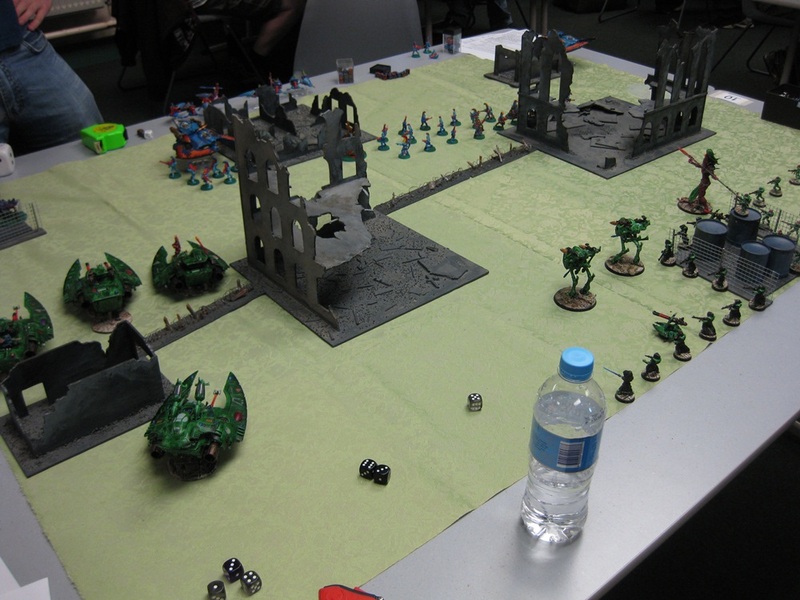 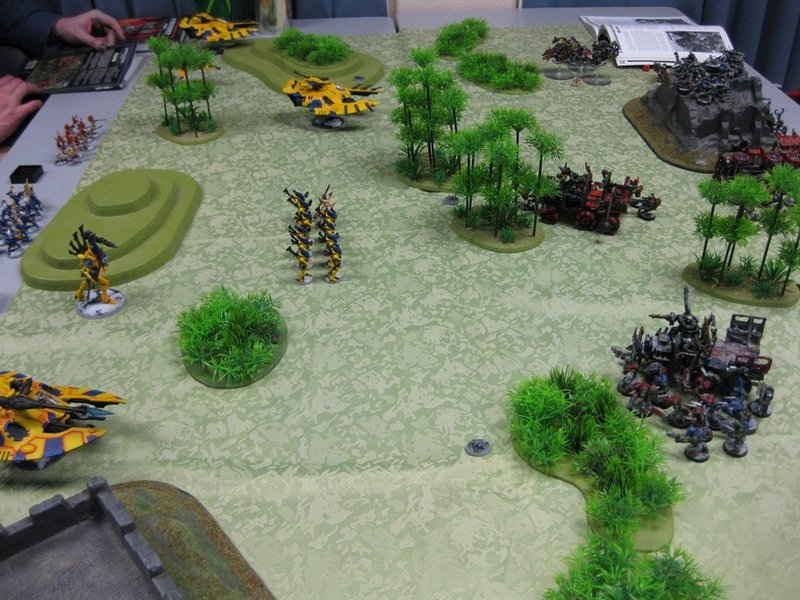 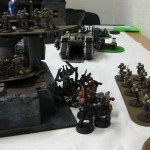 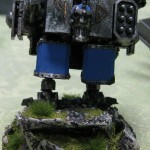 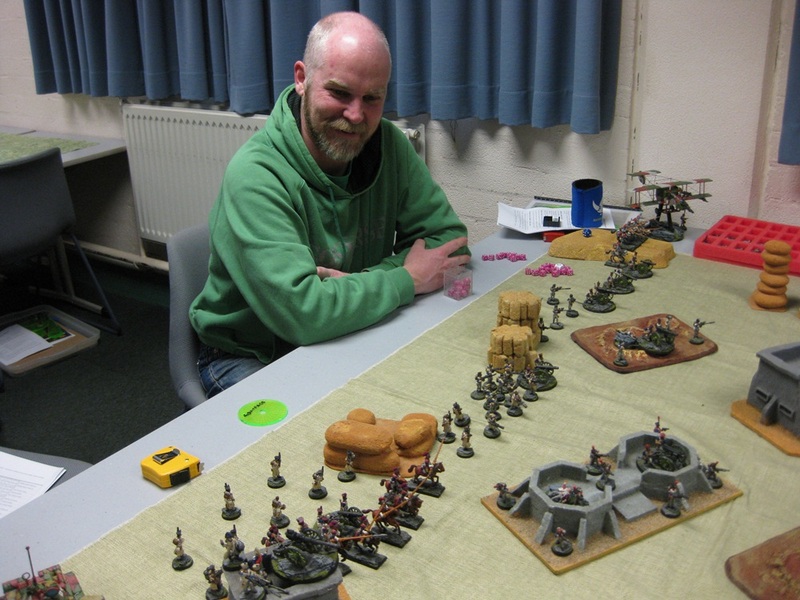 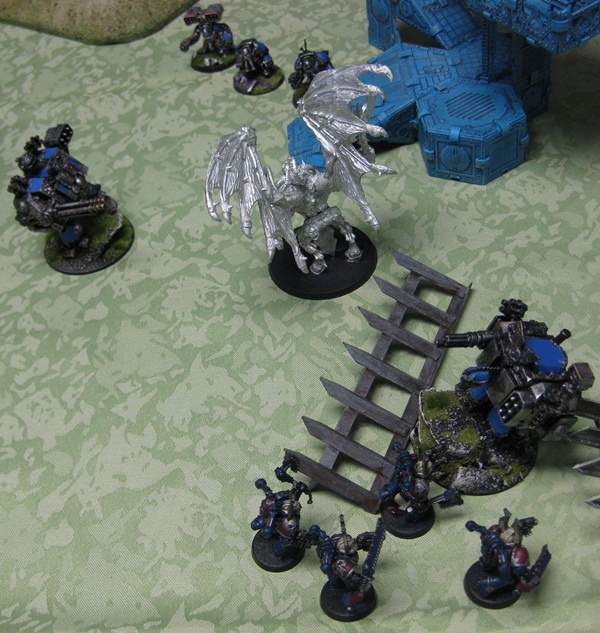 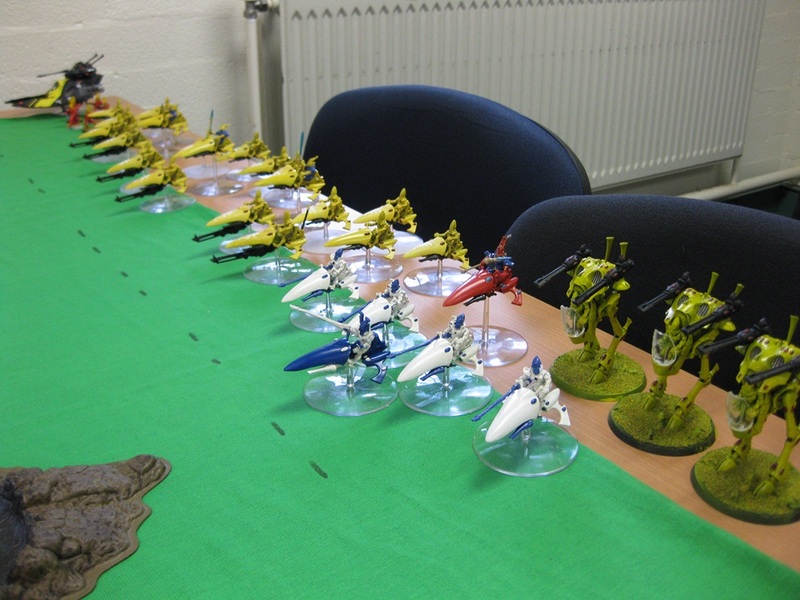 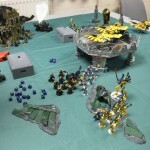 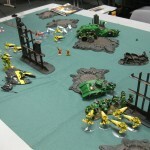 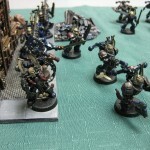 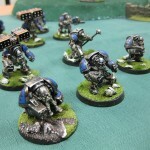 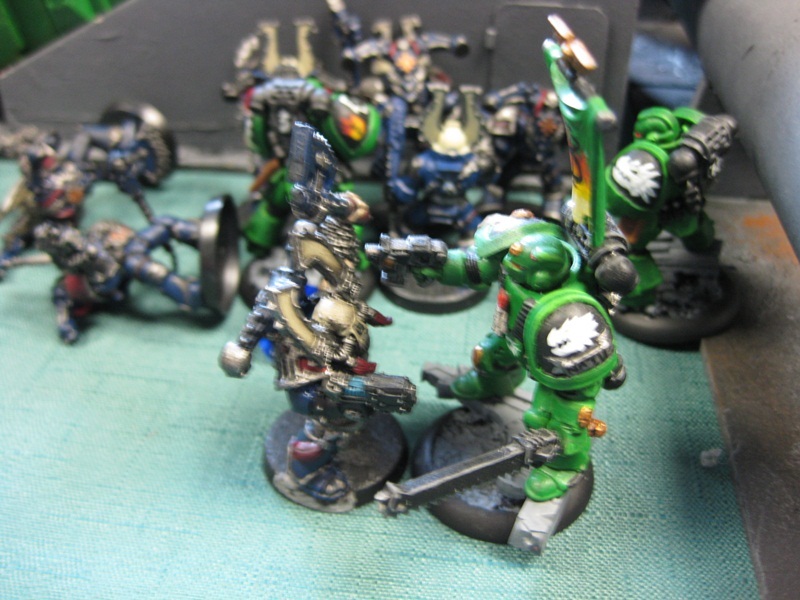 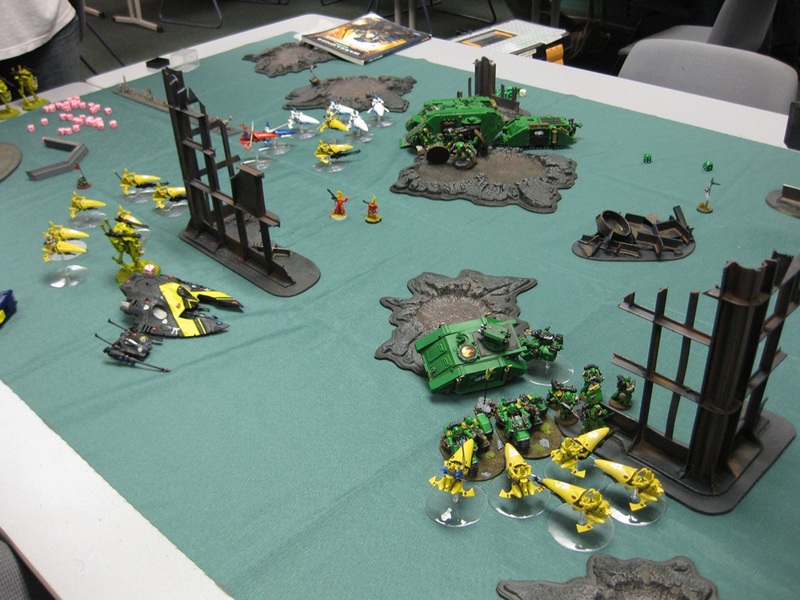 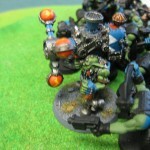 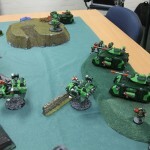 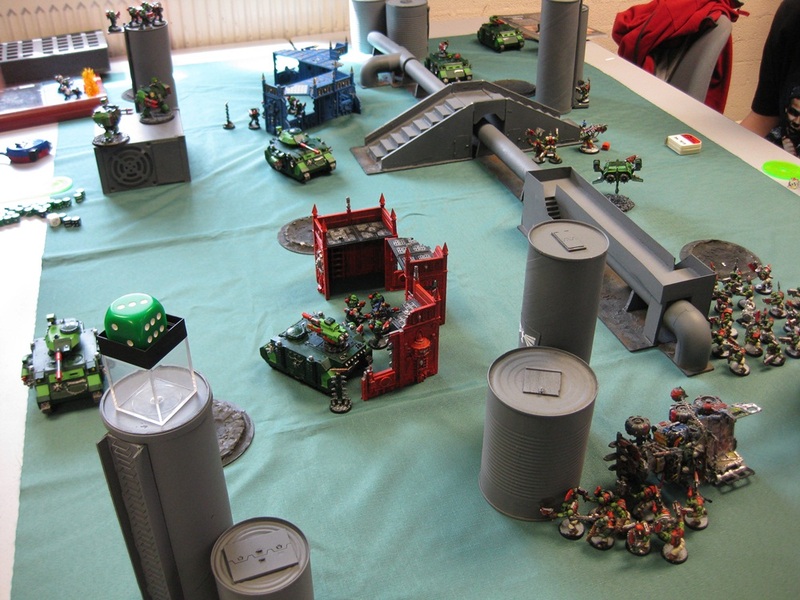 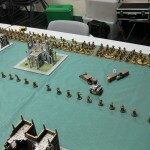 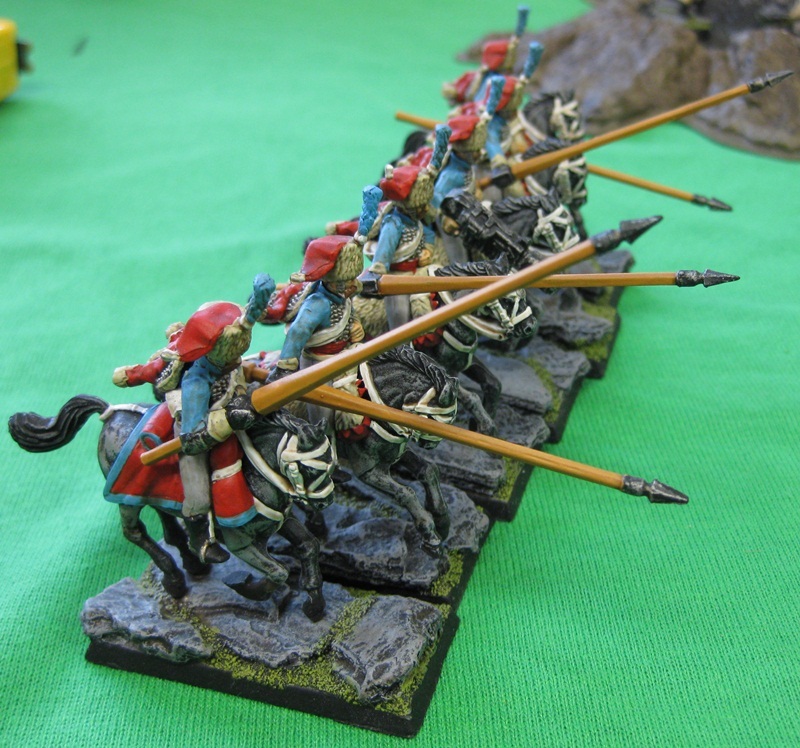 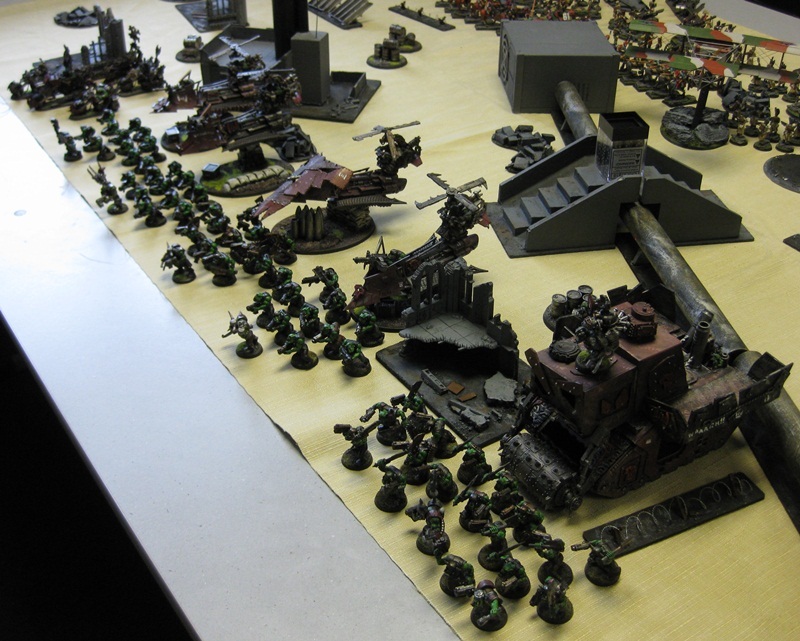 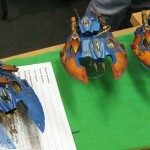 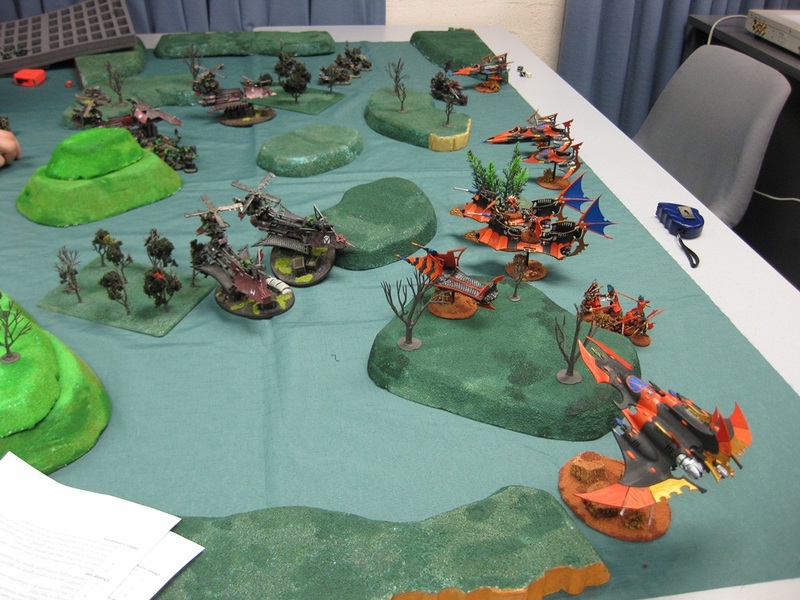 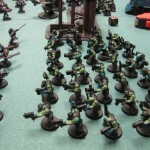 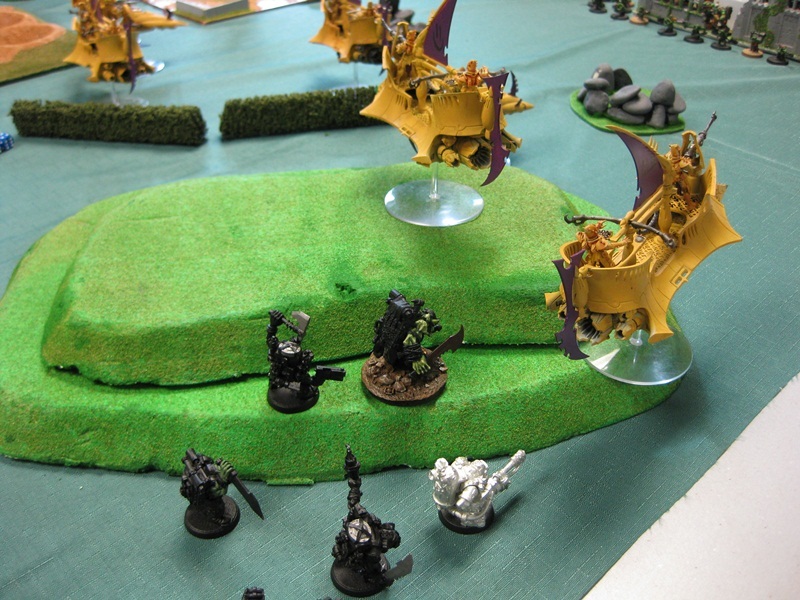 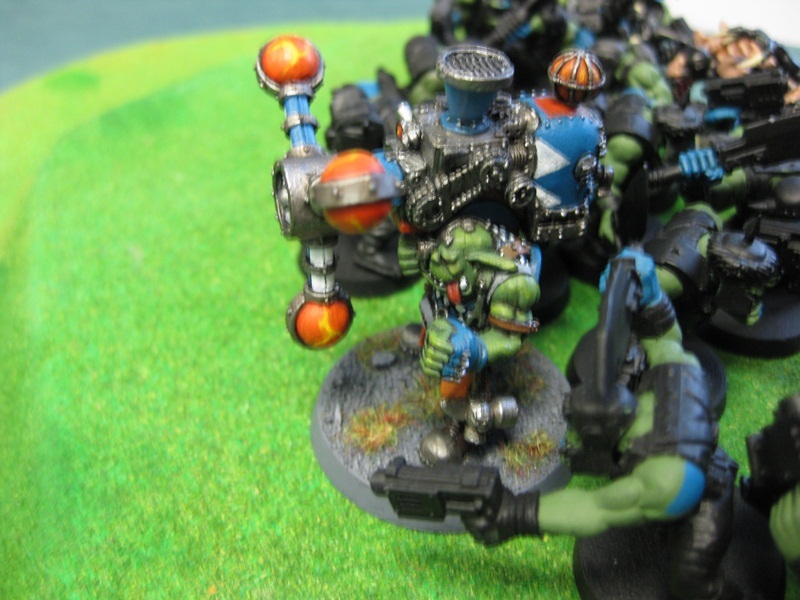 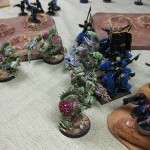 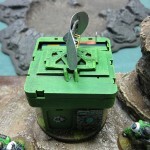 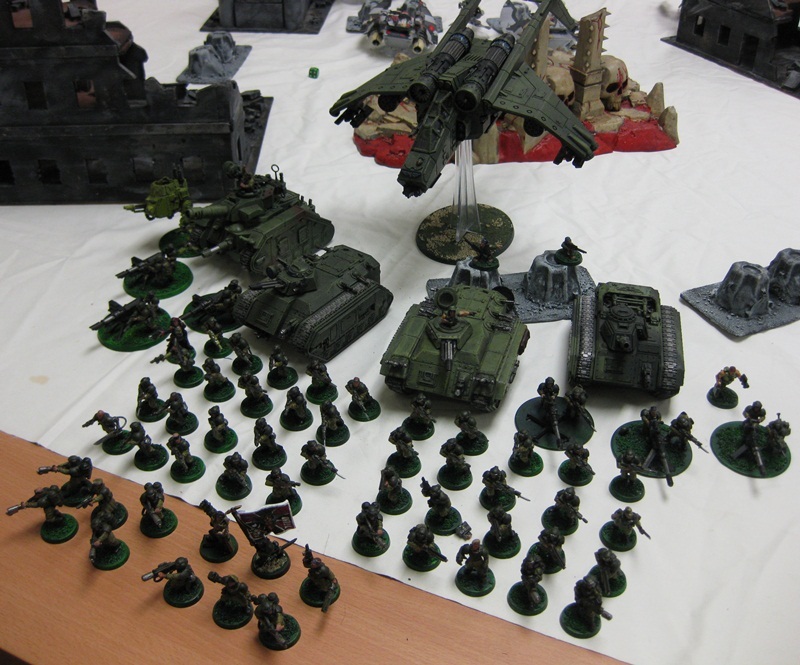 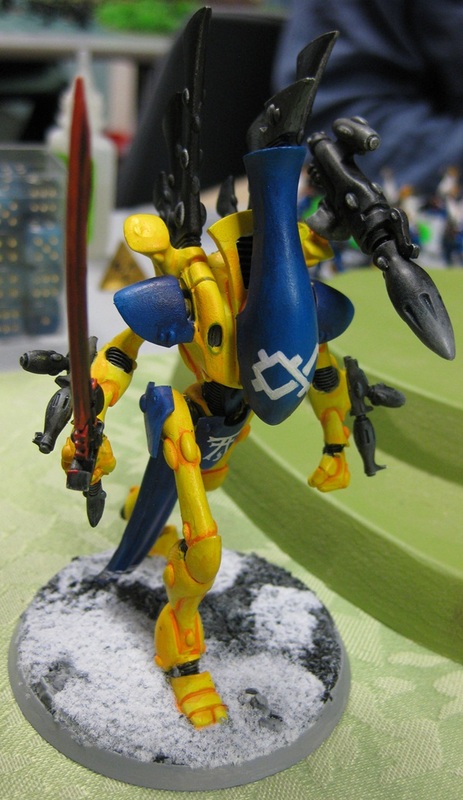 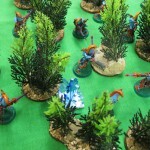 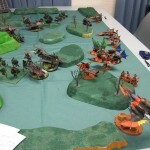 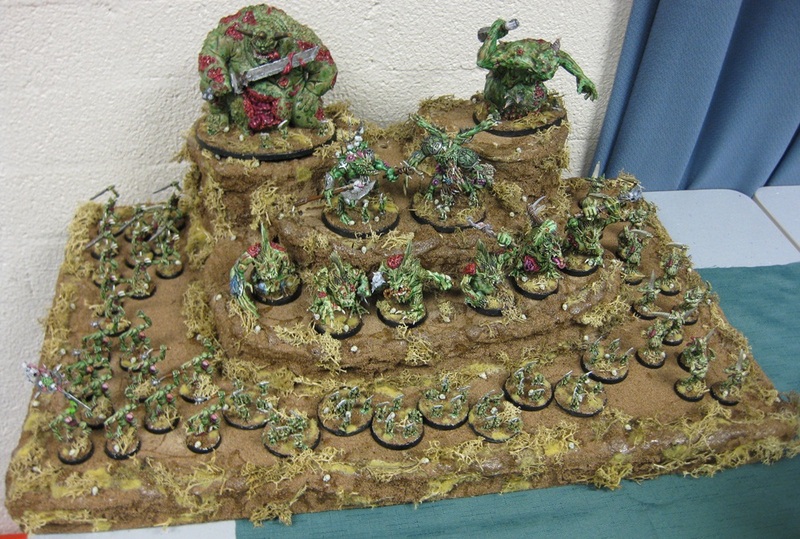 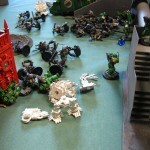 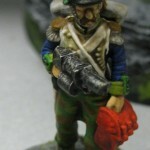 There were a lot of well-painted and well-presented armies, and a lot of fun was had by all! 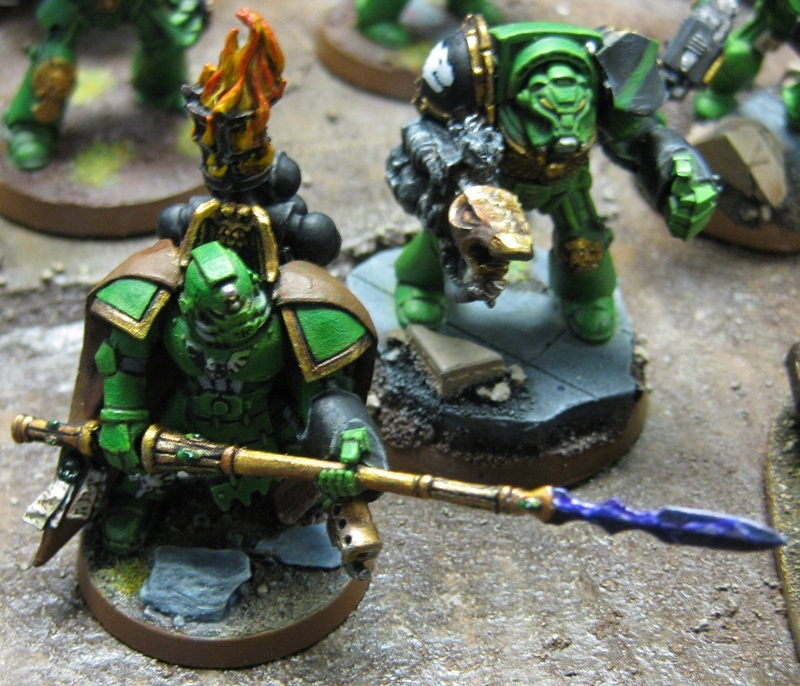 Read more for the whole gallery of 131 photos – there’s a couple of photos of the same thing, since I kept snapping throughout the weekend, so I caught a couple of things more than once. 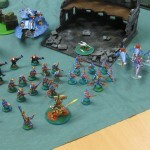 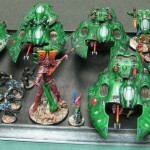 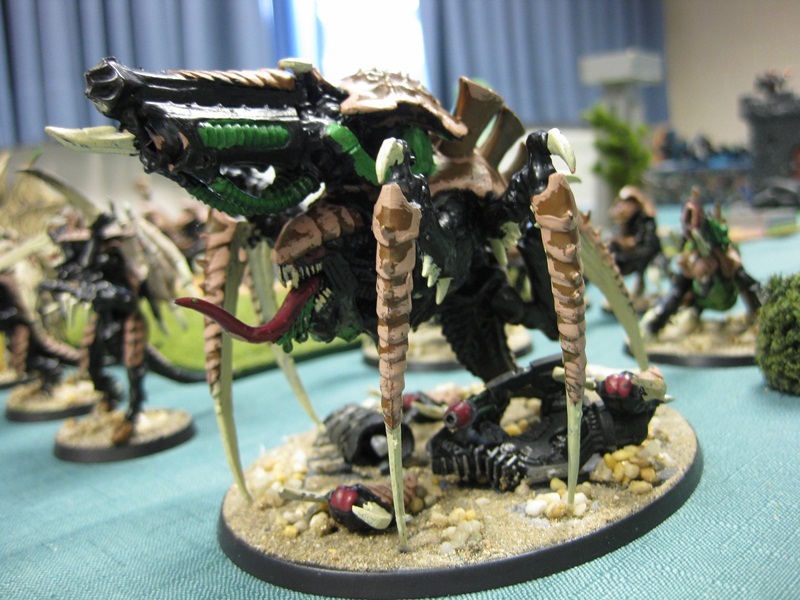 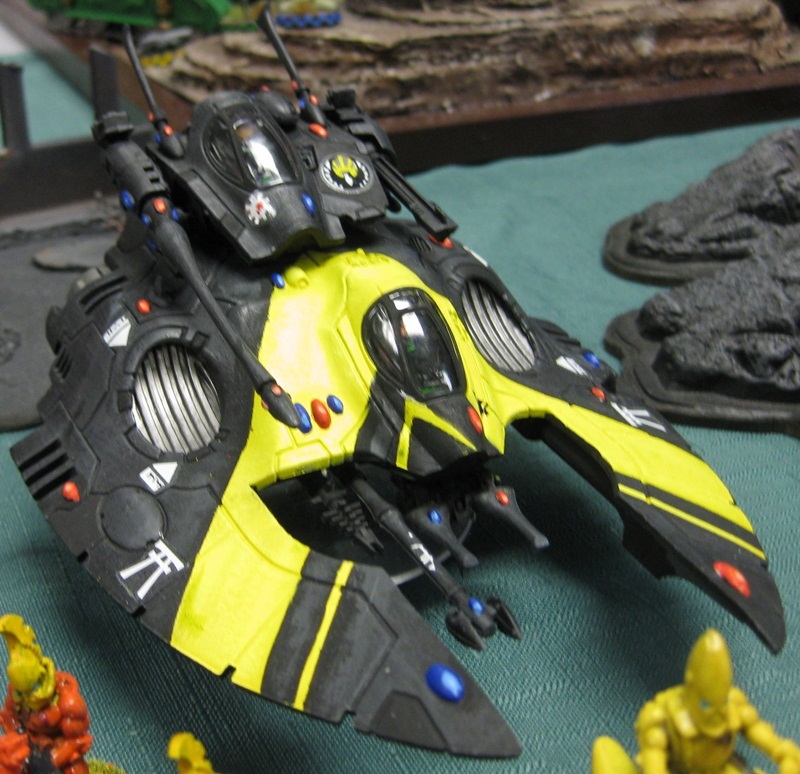 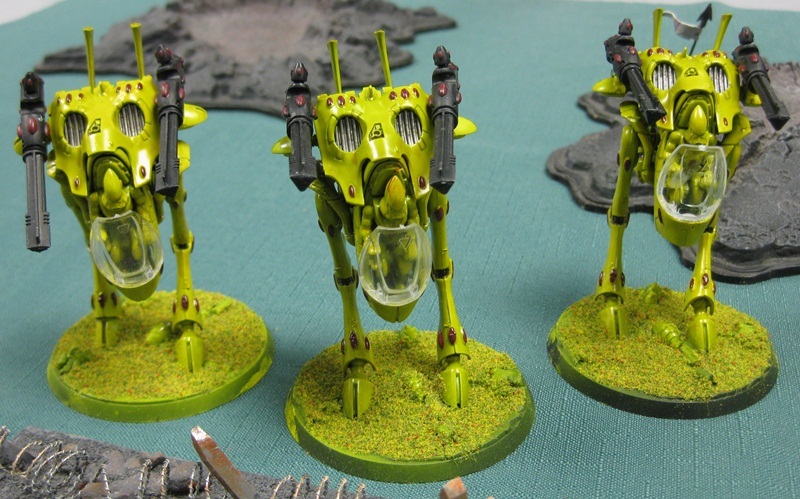 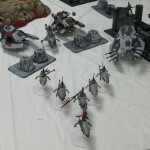 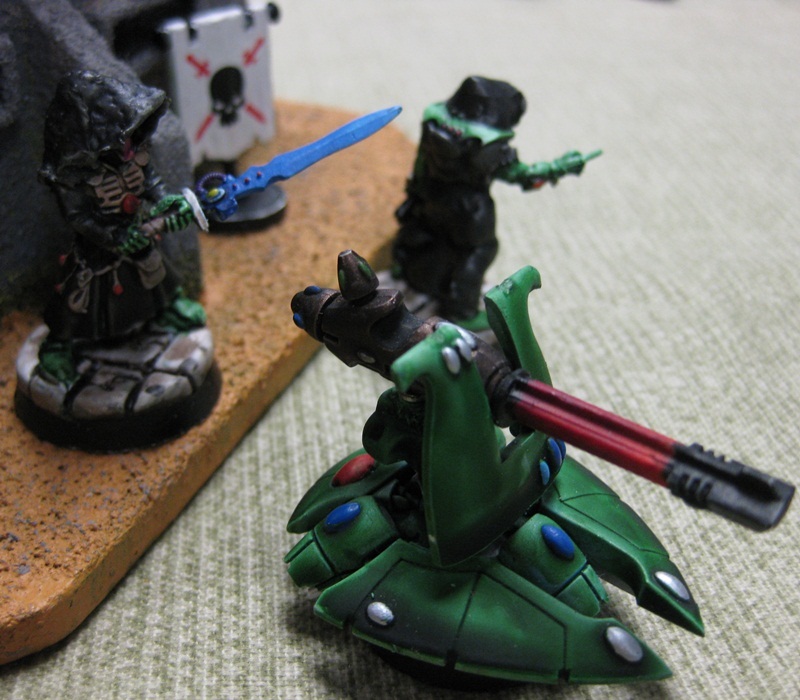 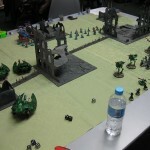 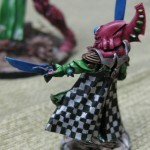 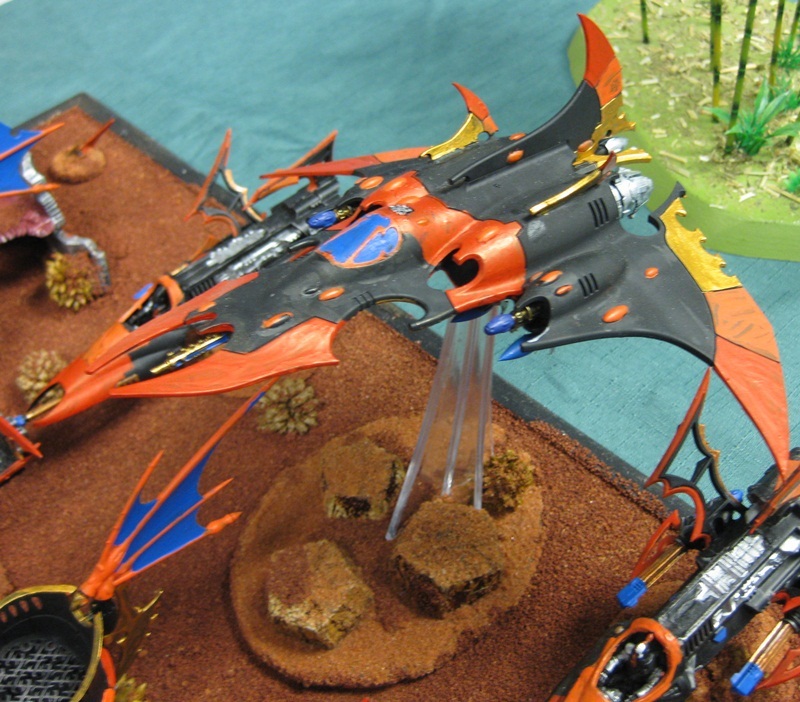 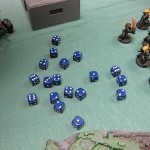 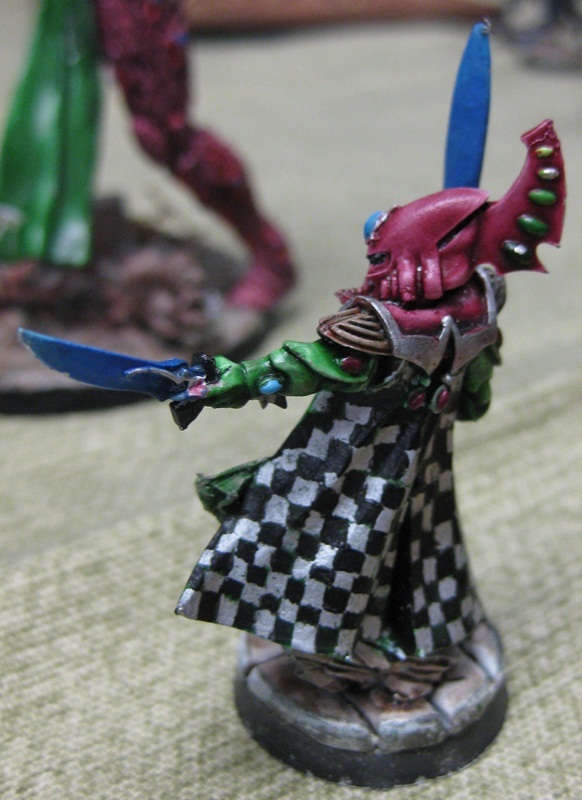 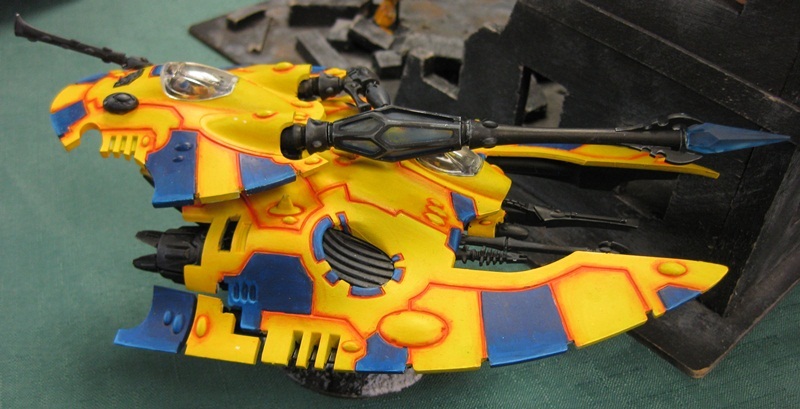 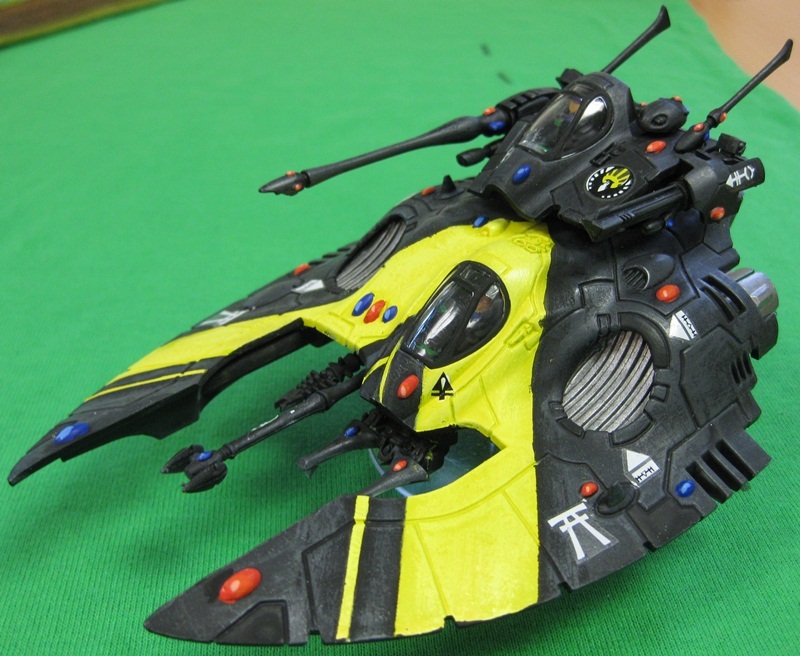 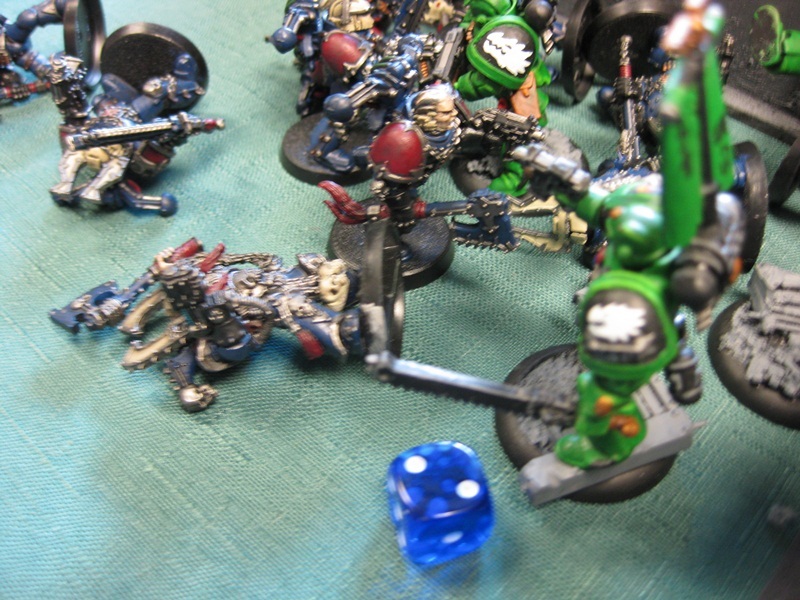 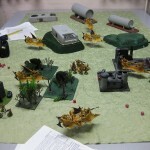 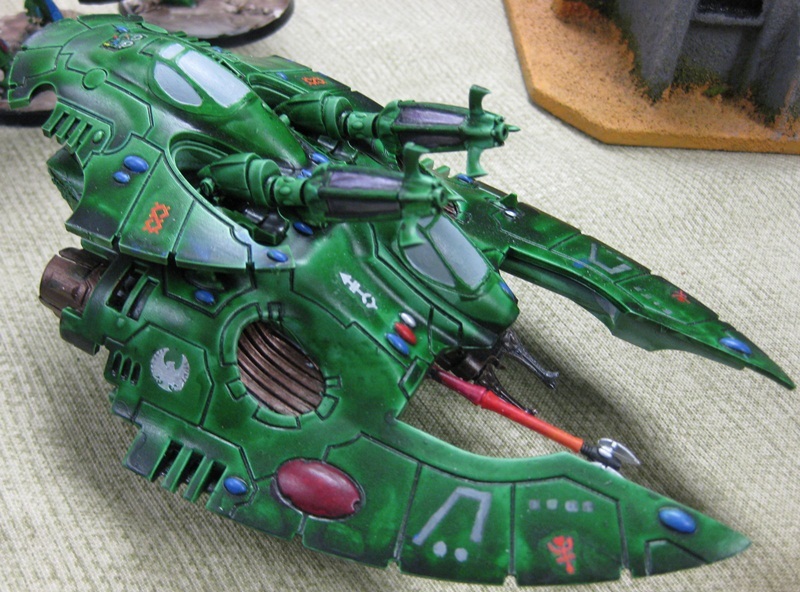 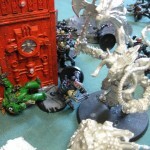 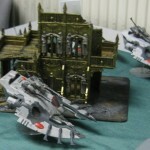 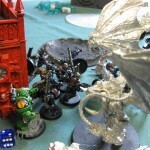 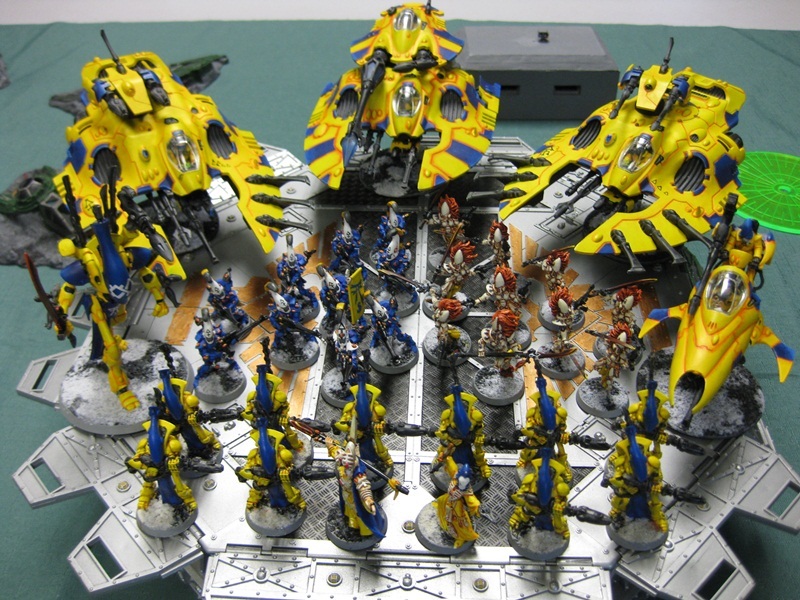 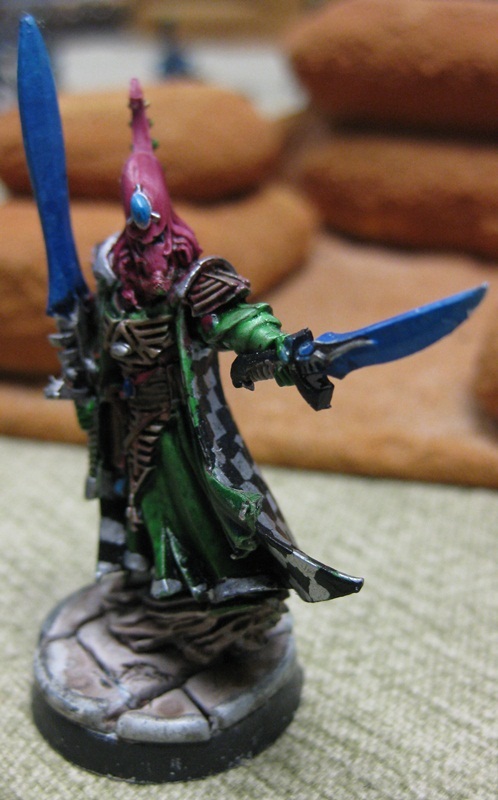 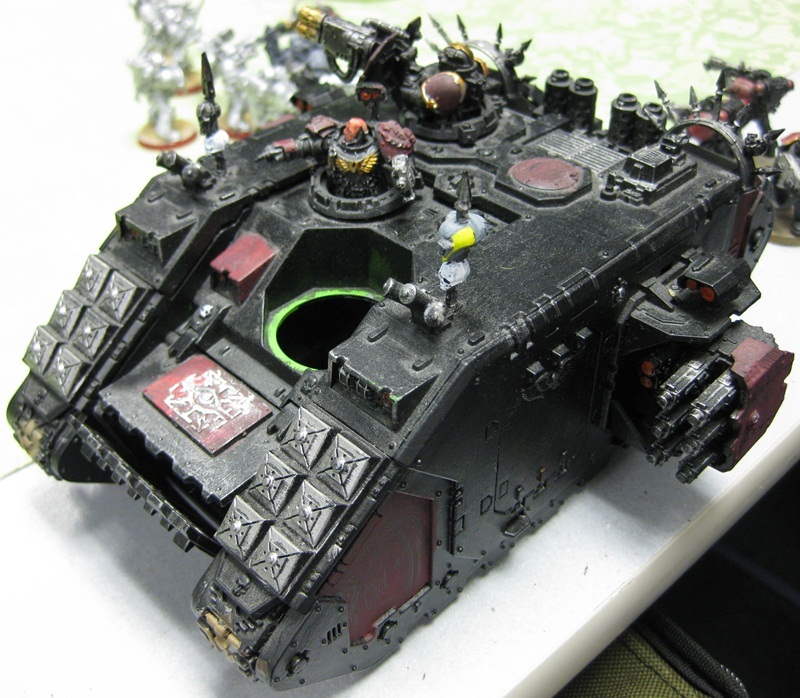 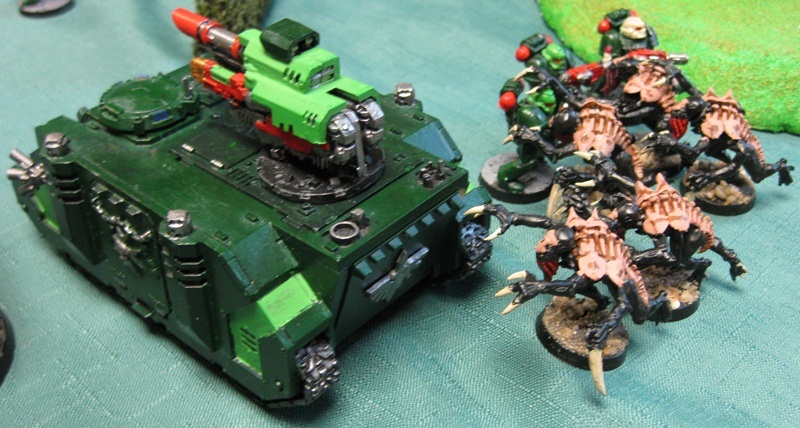 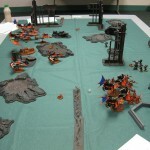 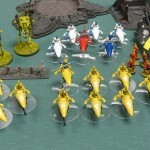 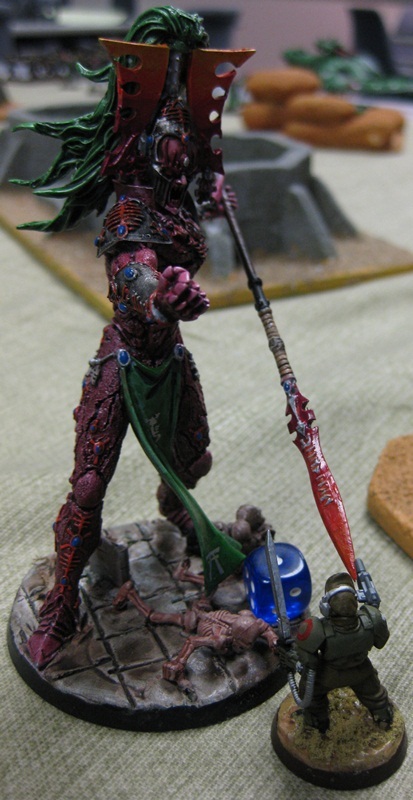 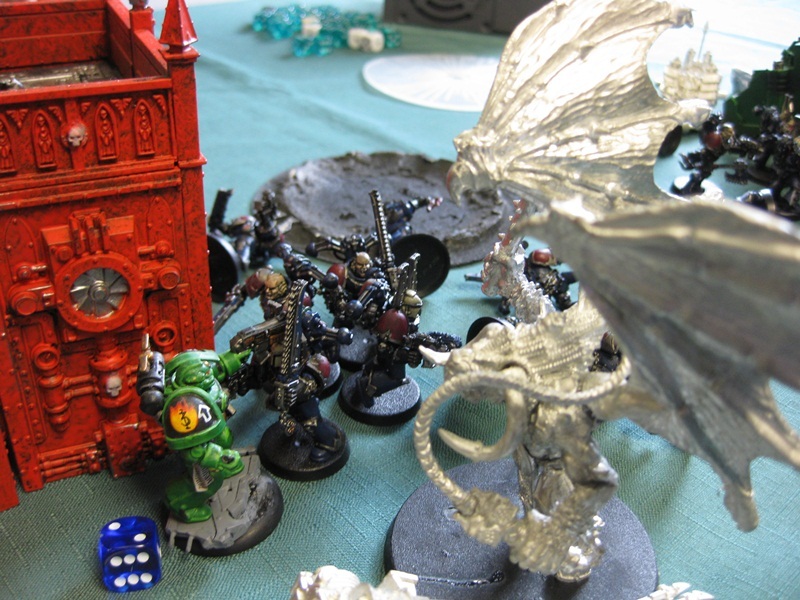 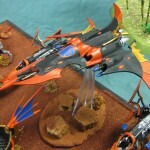 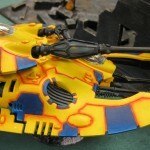 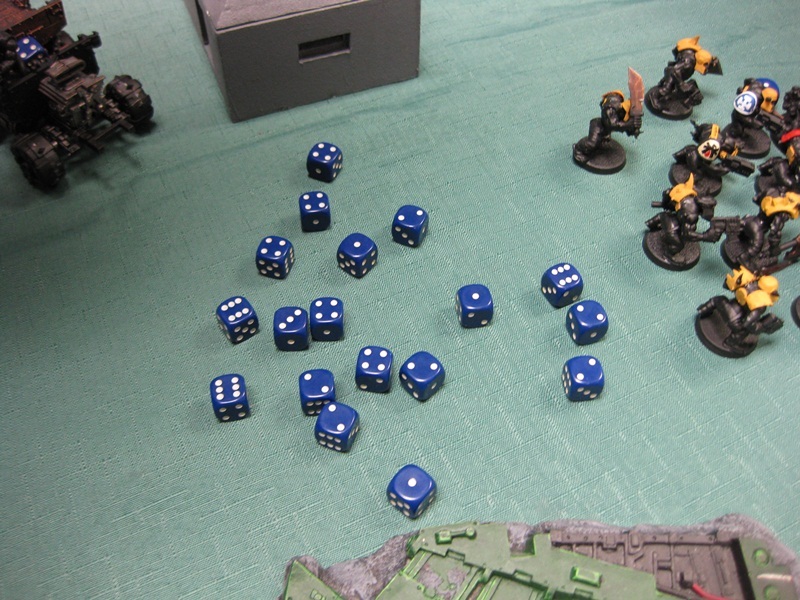 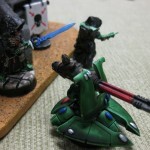 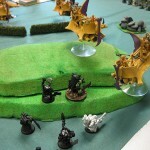 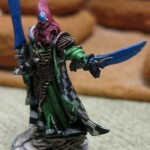 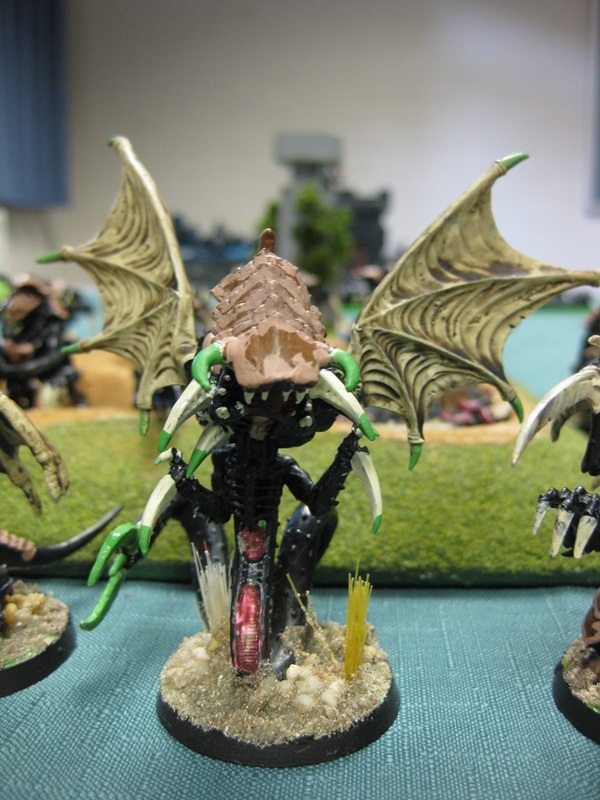 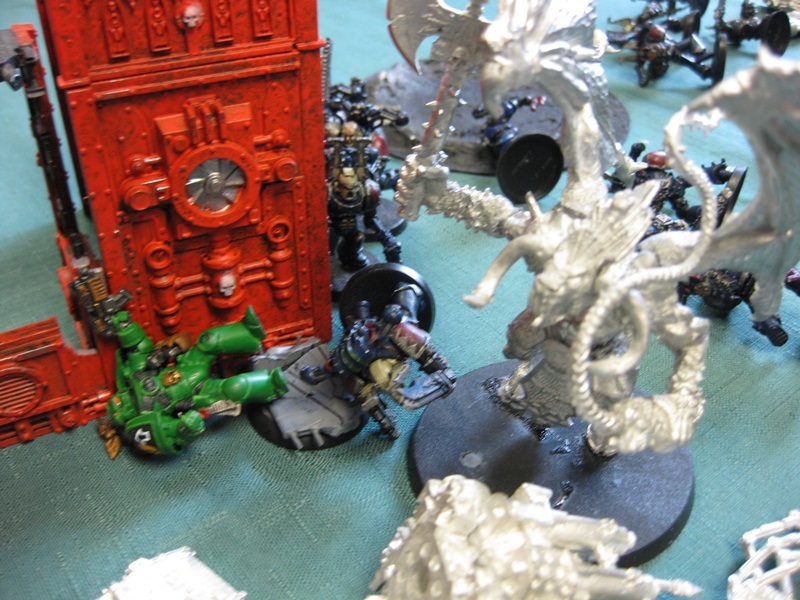 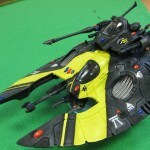 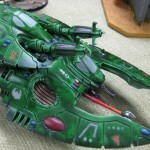 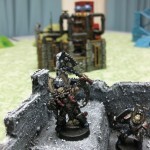 Dark Eldar: Where’s the enemy? 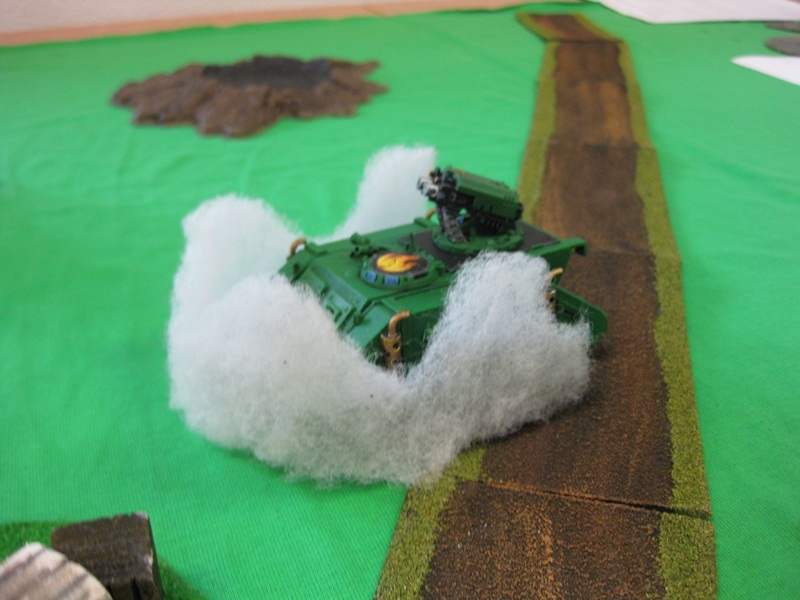 I wonder what’s behind that cloud?